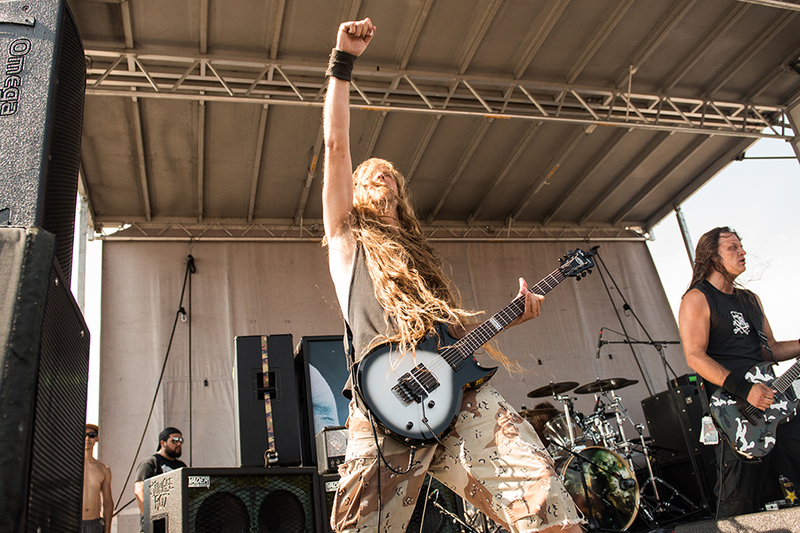 More than a dozen metal bands jumped off their respective tour buses and into our area on Sunday, July 26th. 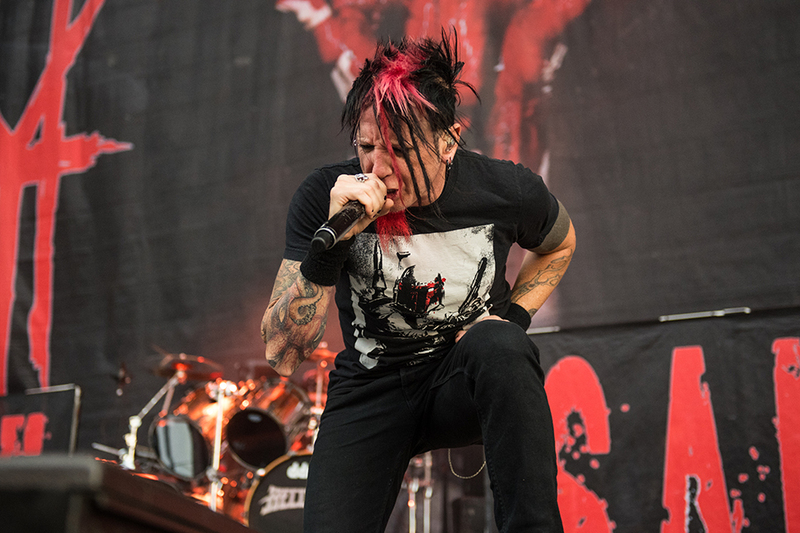 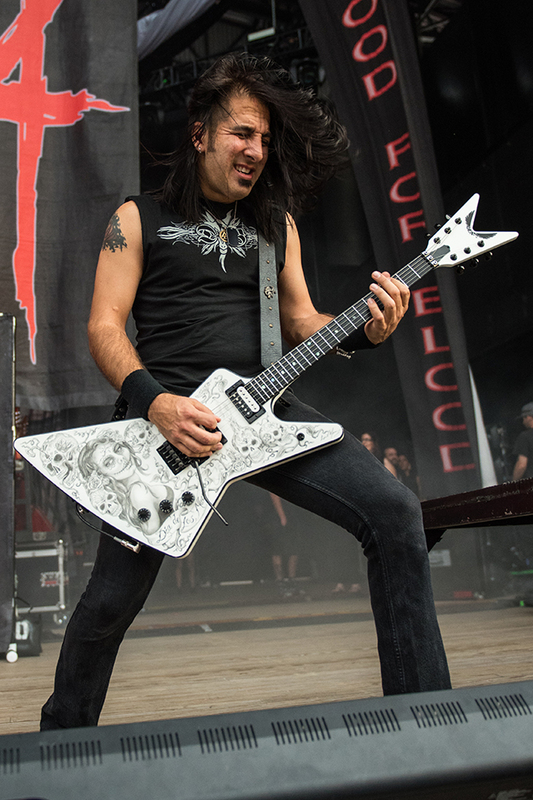 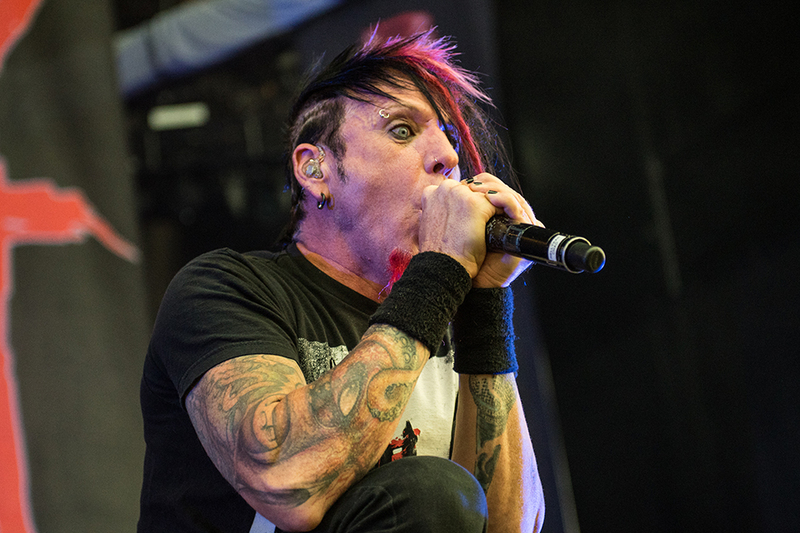 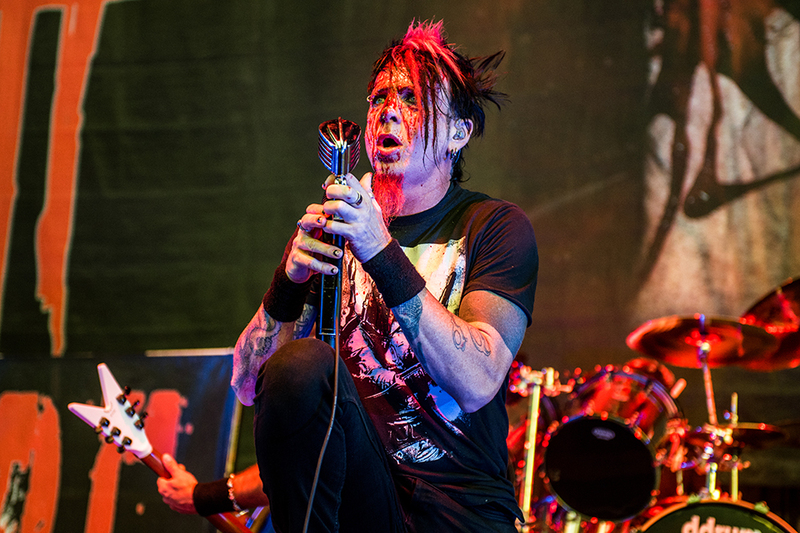 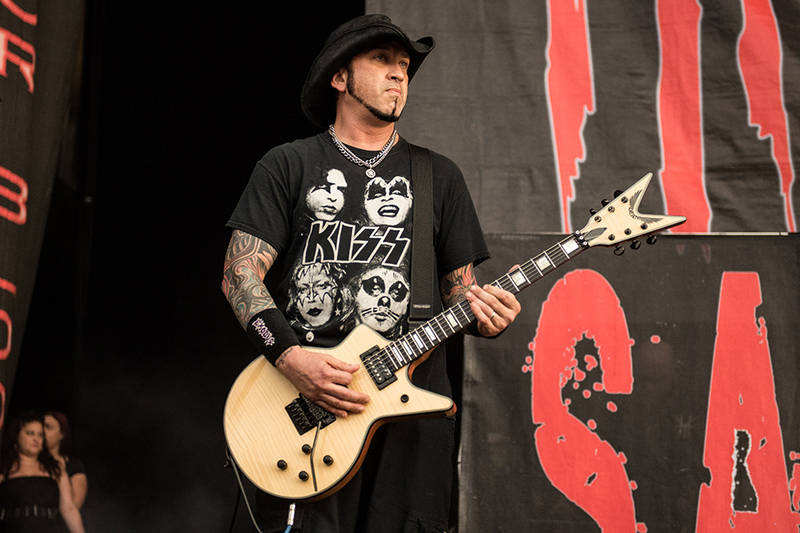 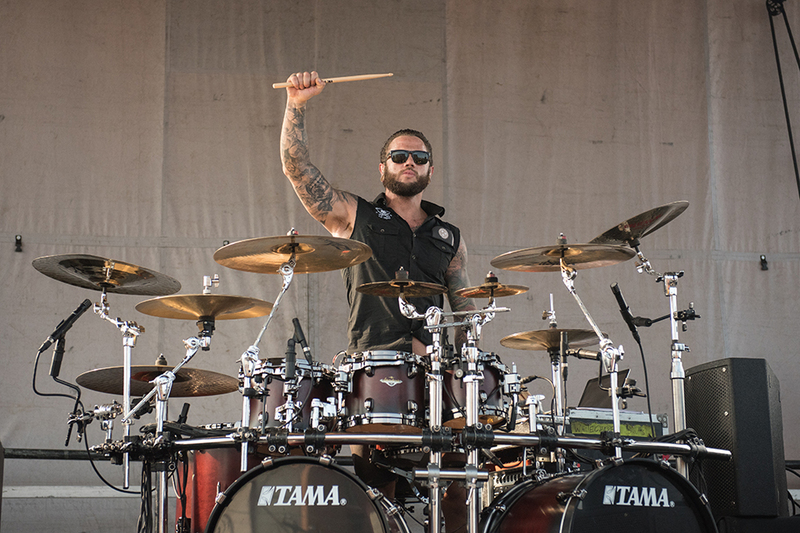 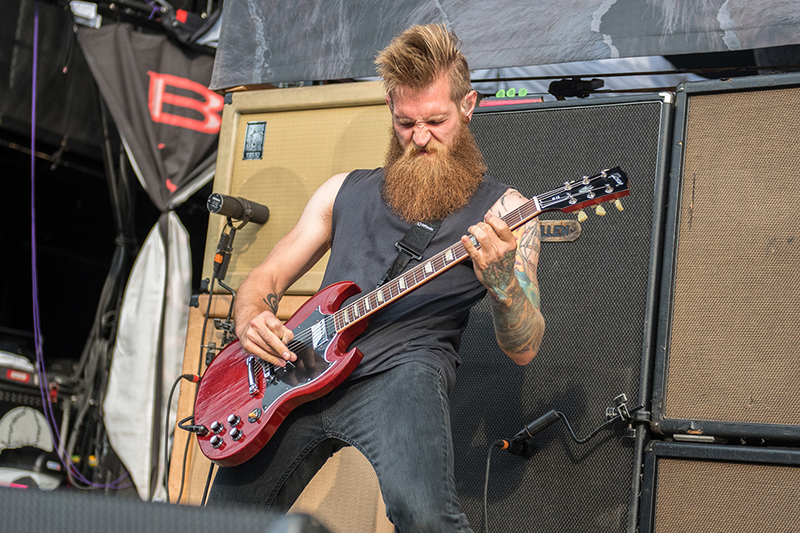 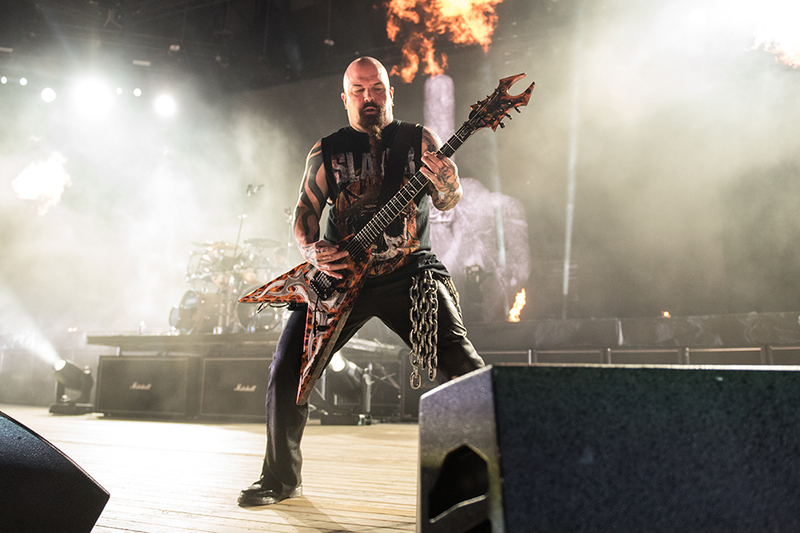 Welcomed by thousands of east coast metal fans, the Rockstar Energy Mayhem Fest would make its only local stop of 2015 at the Nikon at Jones Beach Theater just a short train ride away in nearby Wantagh. 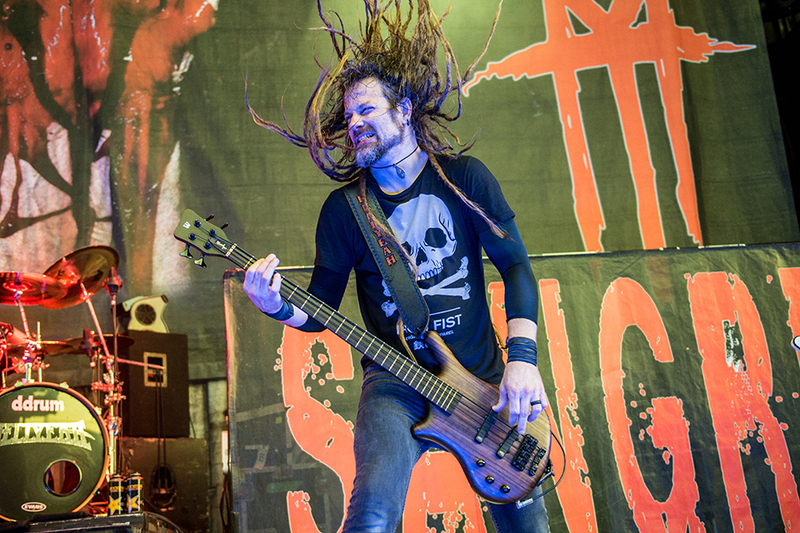 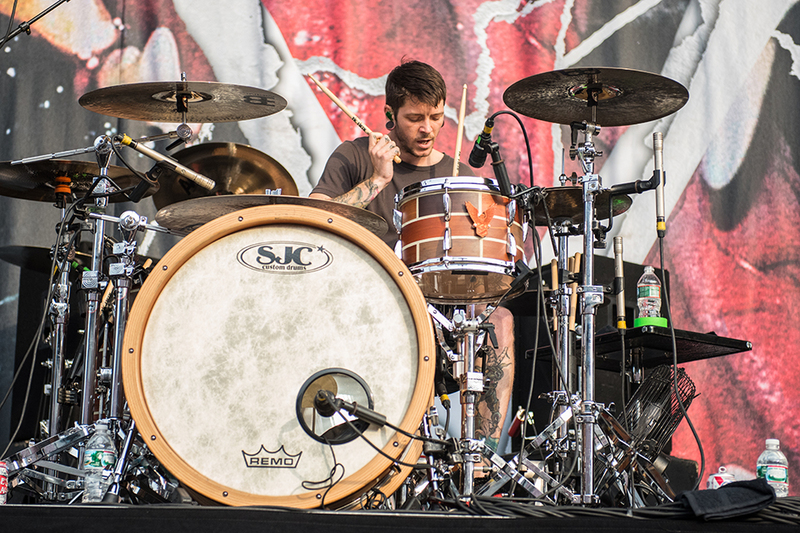 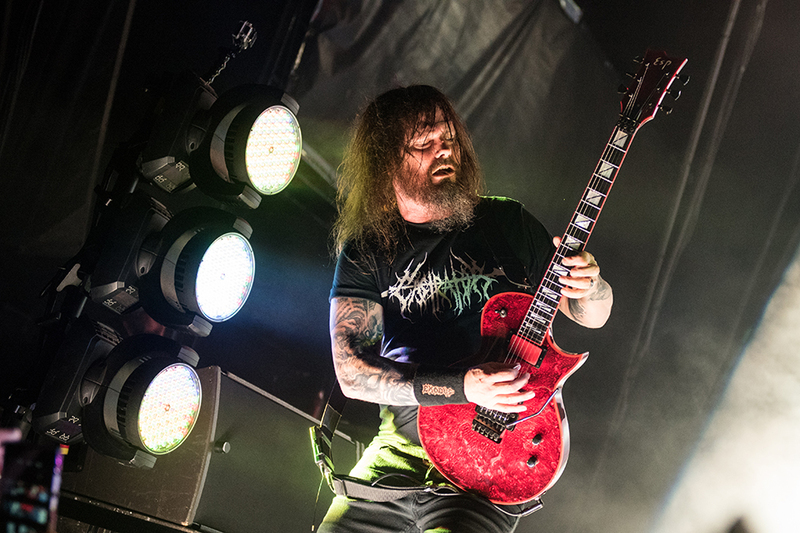 Long Island would barely be able to contain the literal onslaught of fast-paced, heavy music over the course of roughly ten full hours, where some of the genre’s biggest names would exercise complete control over the sizable crowd on hand. 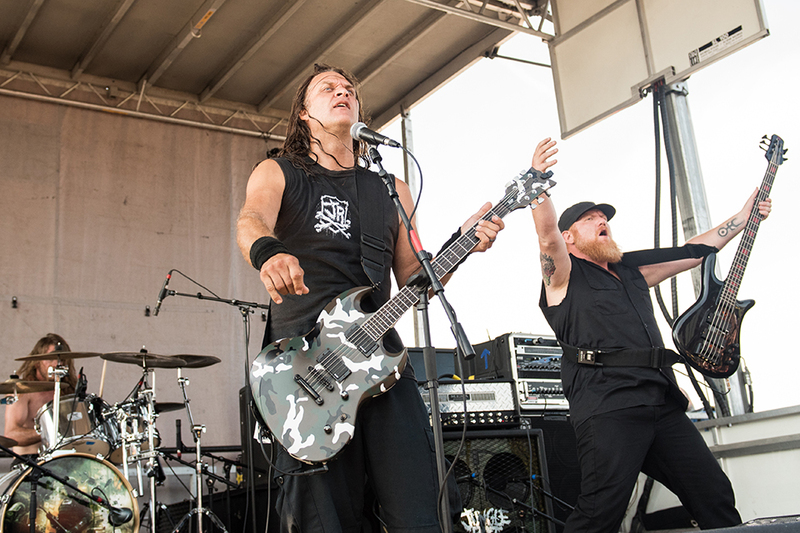 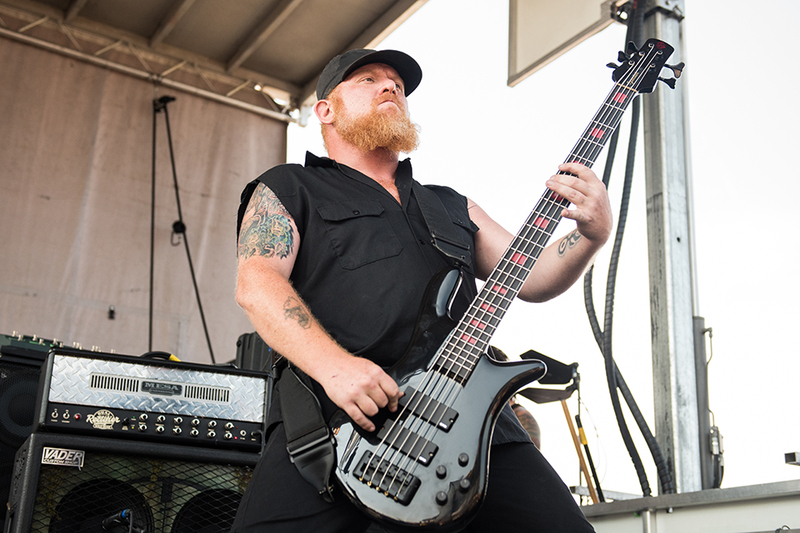 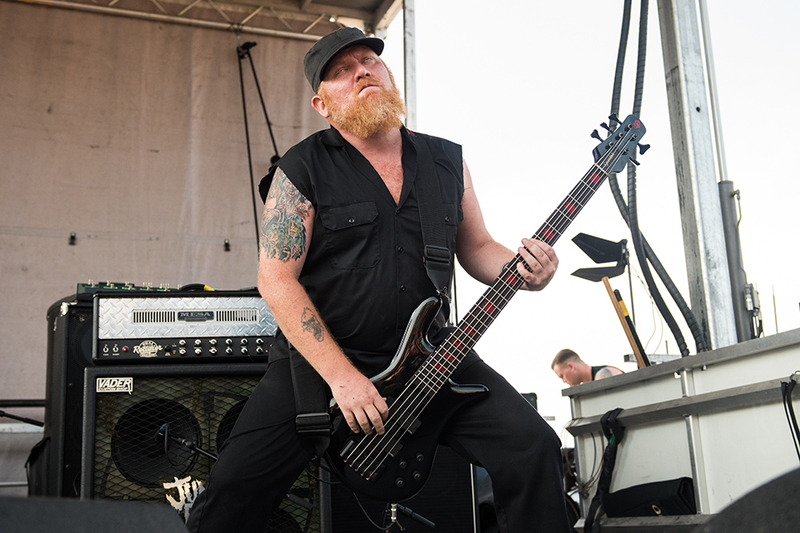 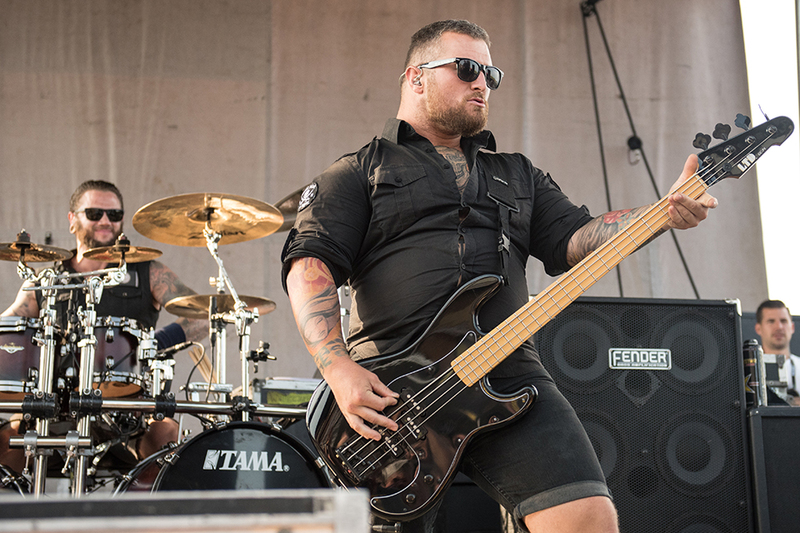 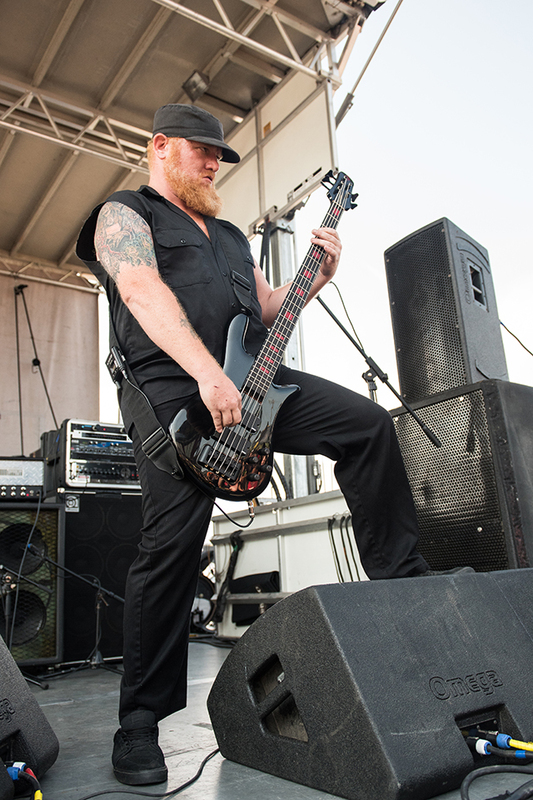 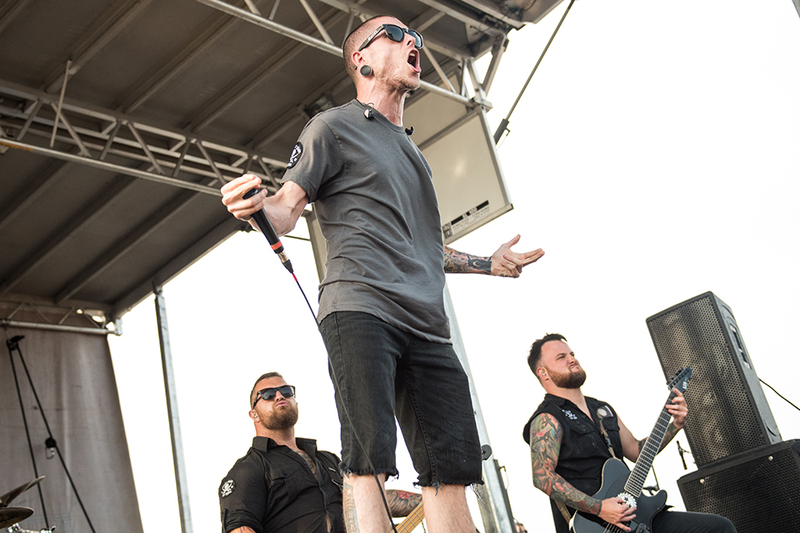 The warm weather afternoon kicked off promptly at 1:00pm, where the smaller Victory Stage would host bands like Code Orange, Sister Sin, Shattered Sun, Sworn In, They Art is Murder and Kissing Candice in anticipation for some of the other stand out acts. 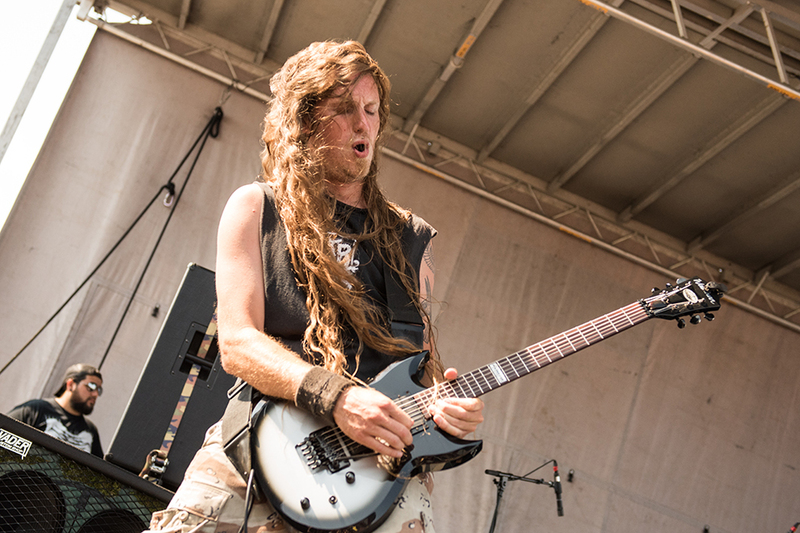 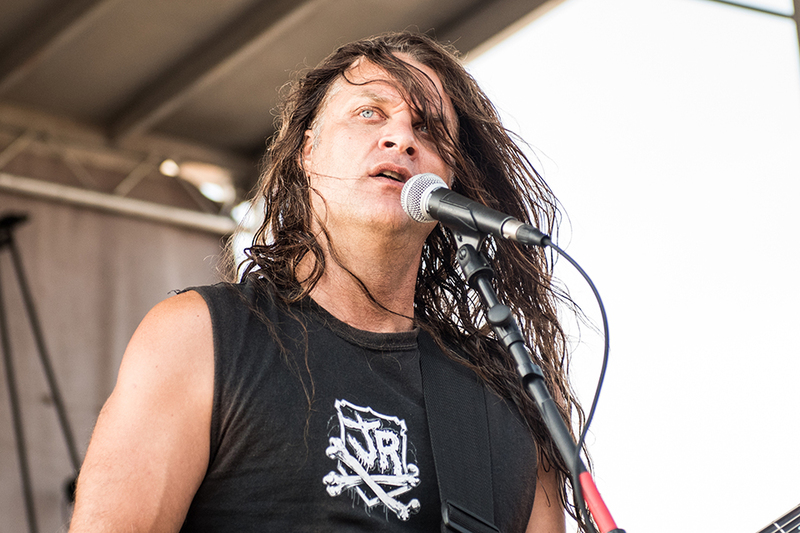 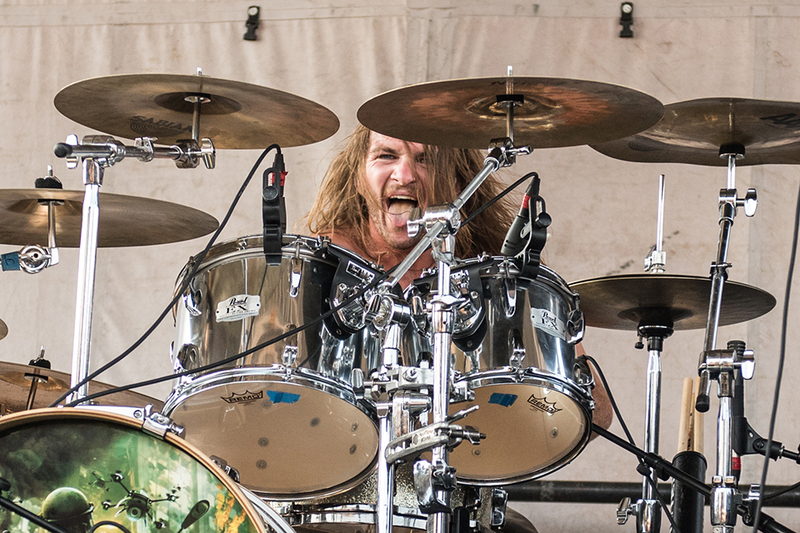 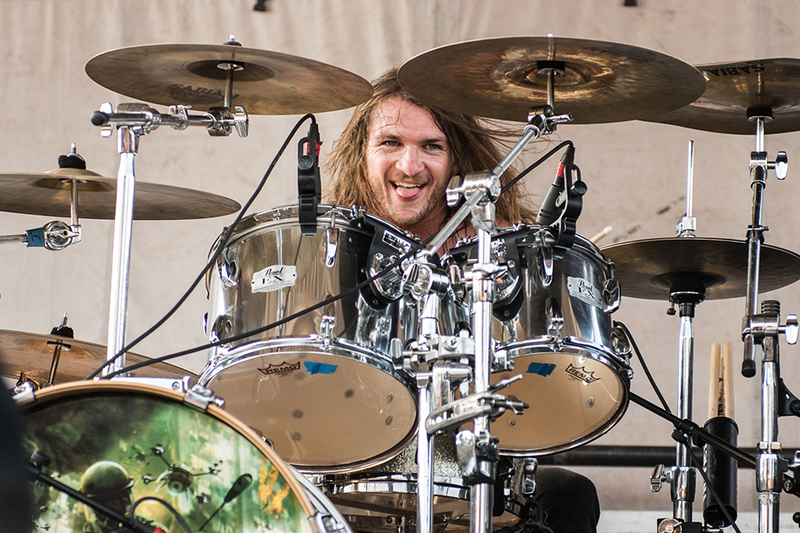 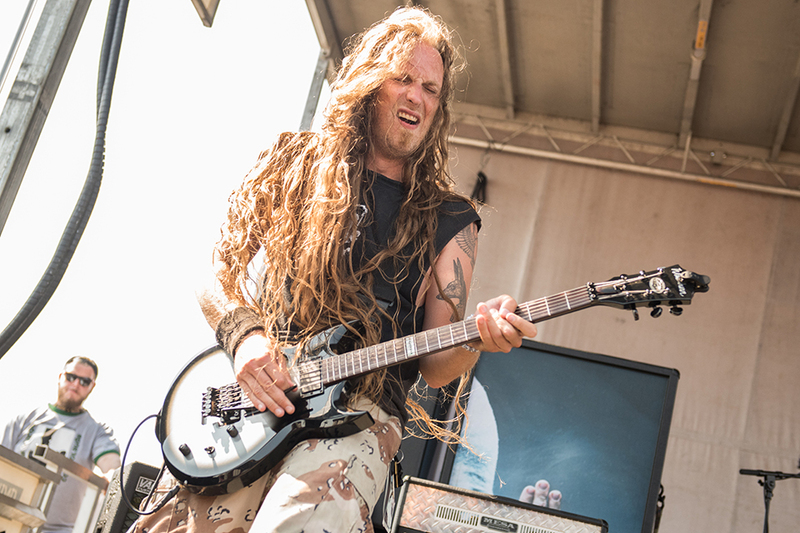 Hailing from Wisconsin, four piece band Jungle Rot was an immediate standout in front of the live audience. 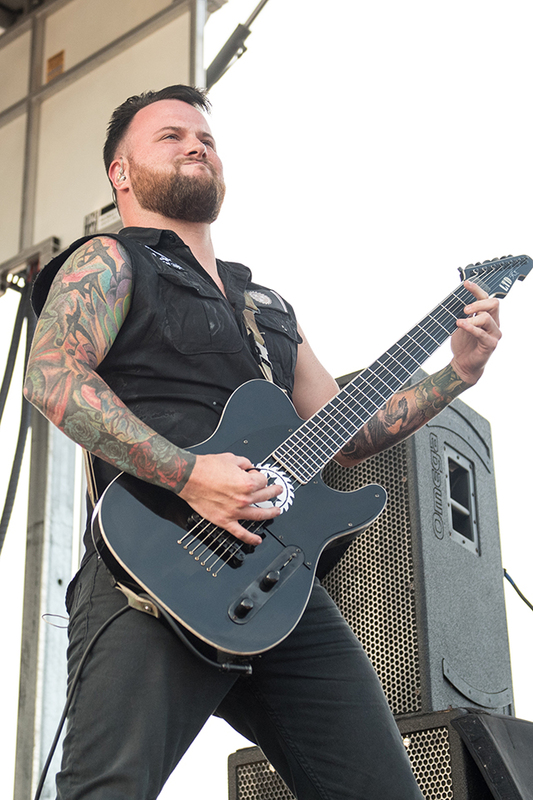 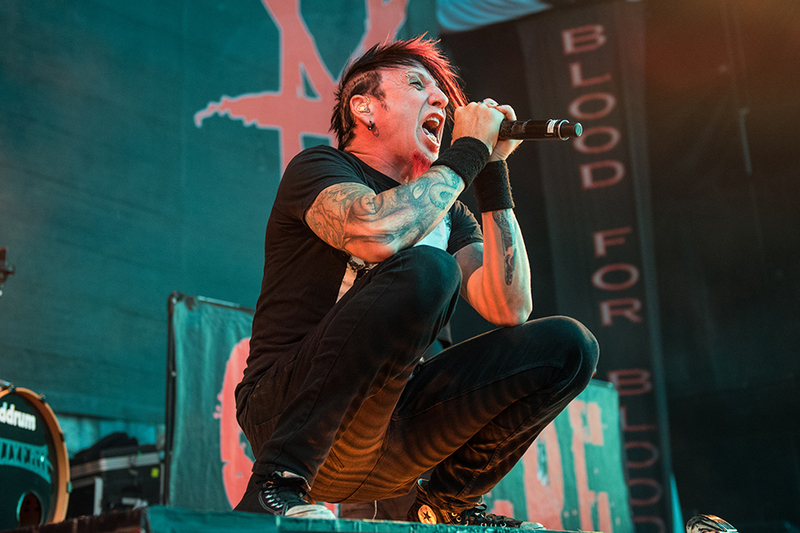 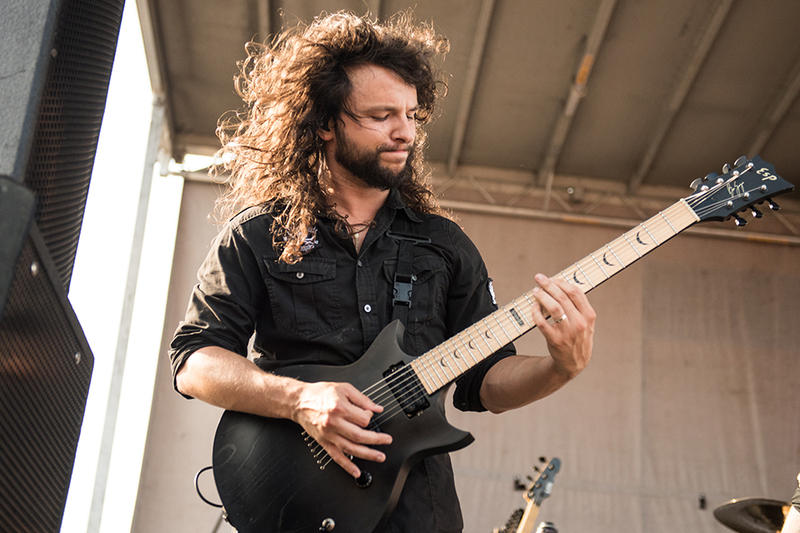 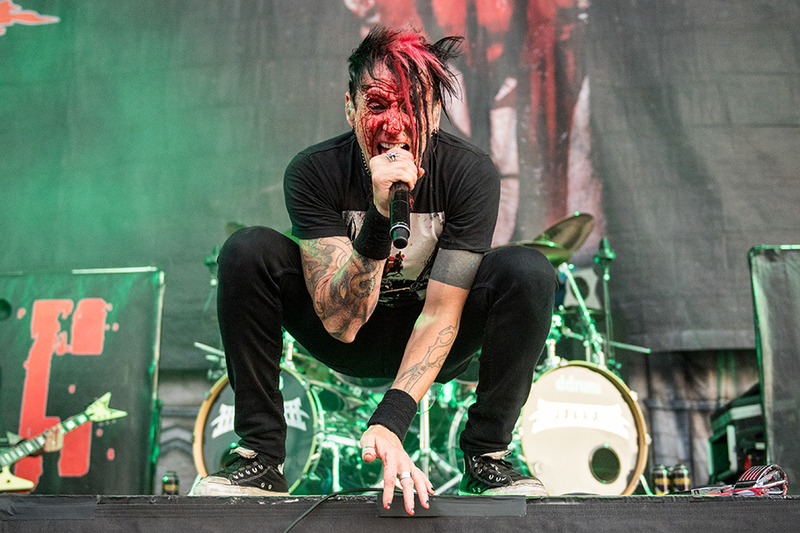 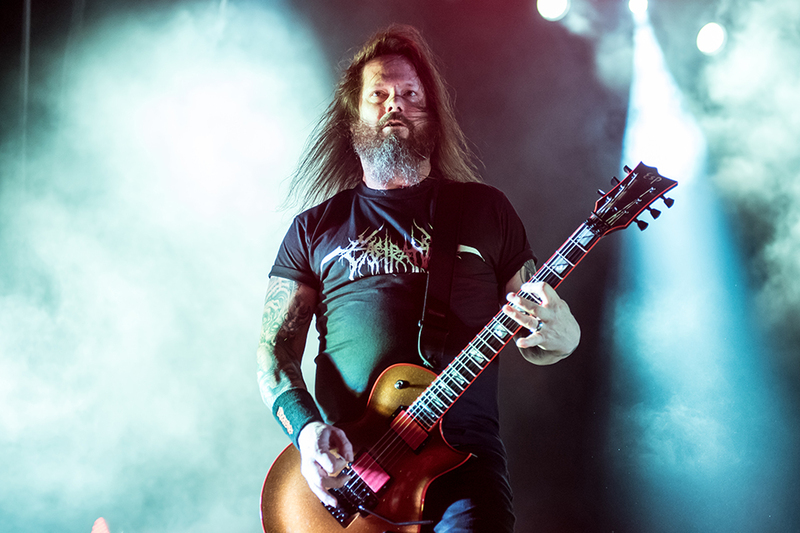 Unveiling an energetic style of American death metal, the band launched into opener “Voice Your Disgust,” replete with the crowd moshing along to frontman Dave Matrise’s growling voice. 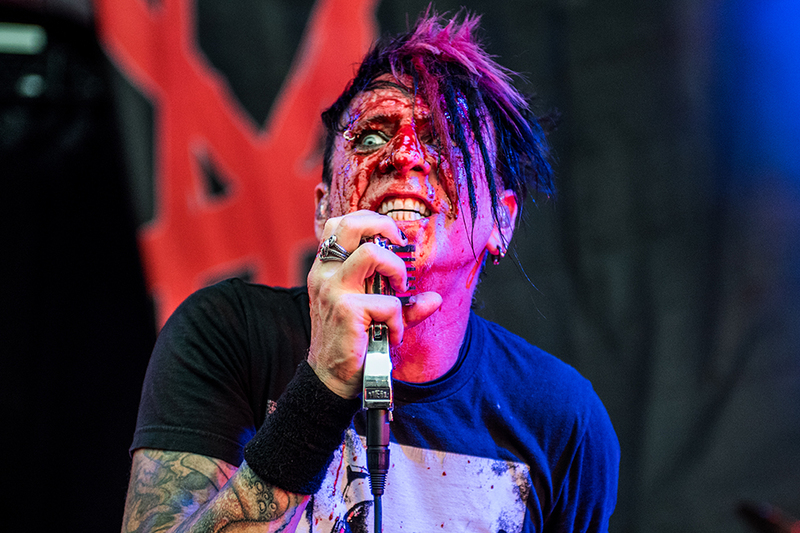 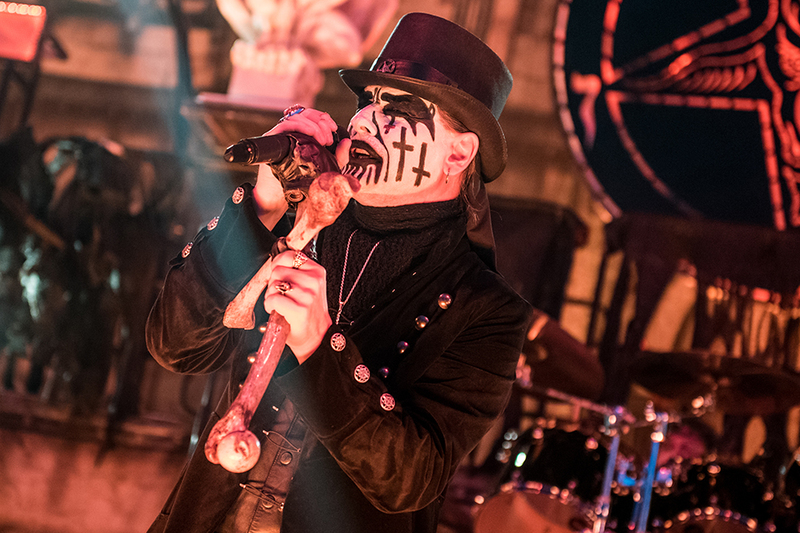 Building the live show with utterly intense eyes and expressions, Matrise acts as the band’s catalyst, heightening the band’s emotional lyrics as the band’s music pounds along behind him. 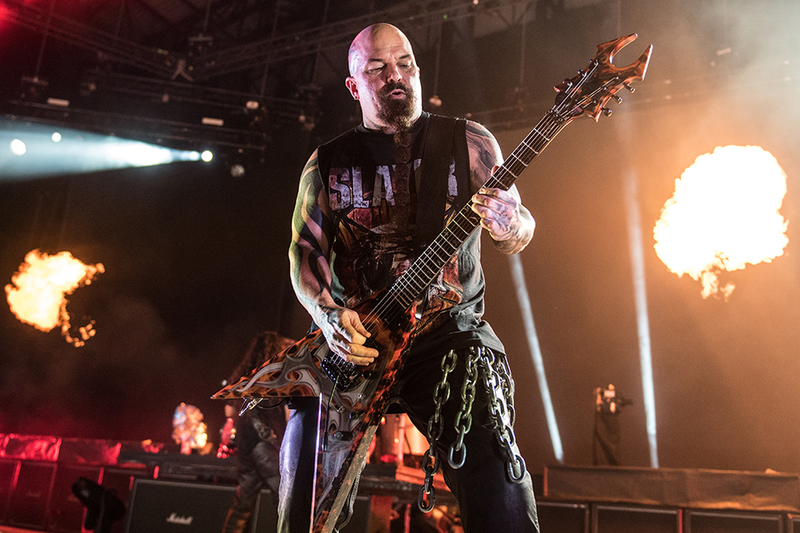 Tracks like “Terror Regime” and “Doomsday” allowed mosh pits to completely erupt as crowd members excitedly threw themselves into the fray. 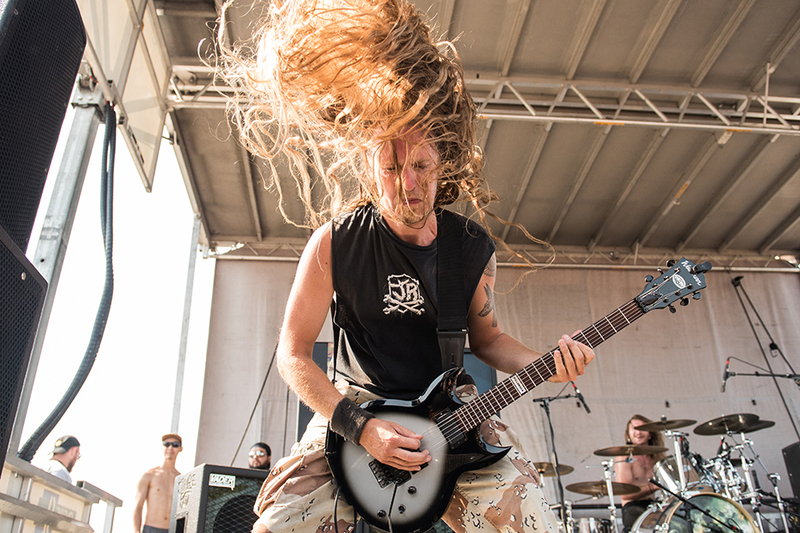 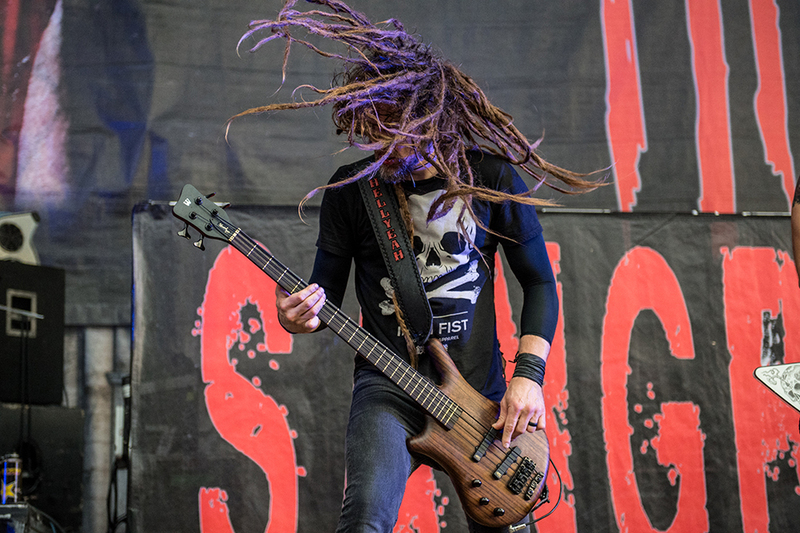 Though Jungle Rot has been making music since 1994, this seemed like a perfect introduction to the Mayhem Fest crowd in 2015- fast paced, collaborative bass and heavy drumming, and Matrise’s haunting vocals which bring everything together during a particularly fast and fun side stage performance. 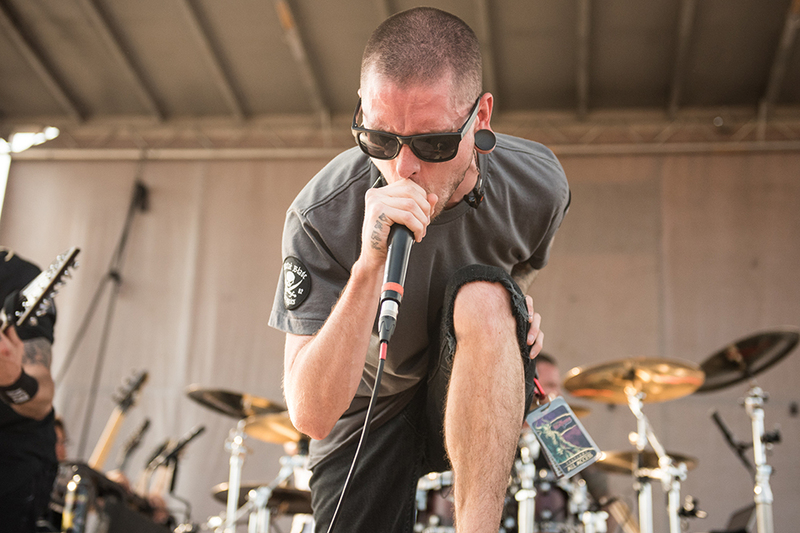 Speaking of standouts, Knoxville, Tennessee’s Whitechapel was another Victory Stage band that was well worth going out of our way for. 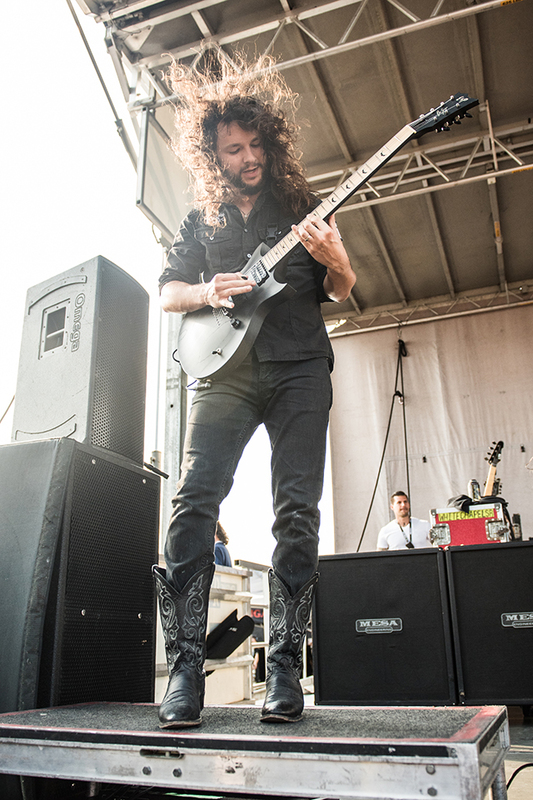 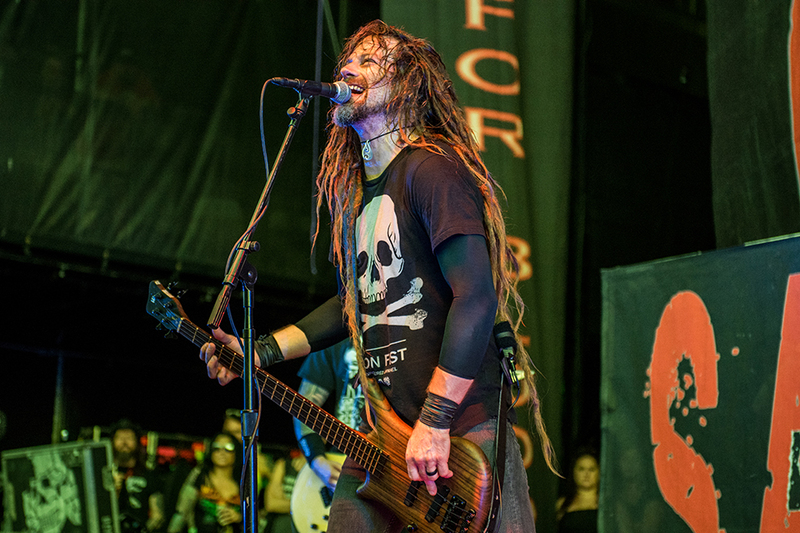 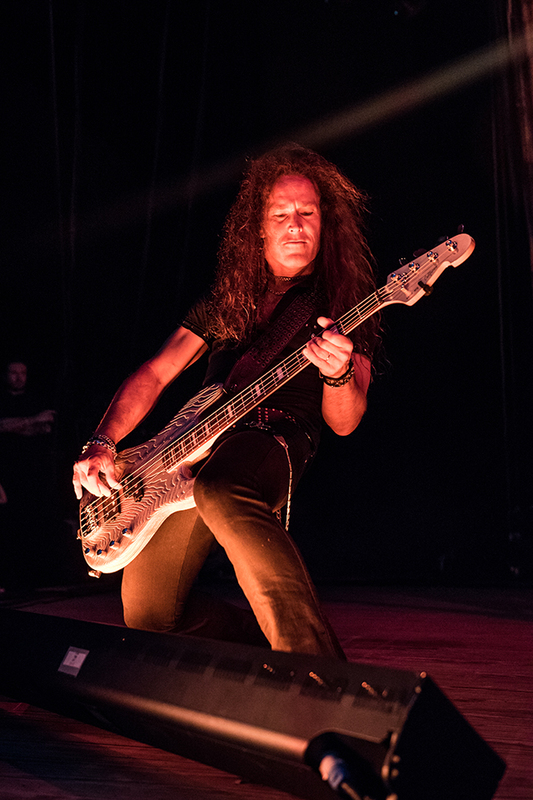 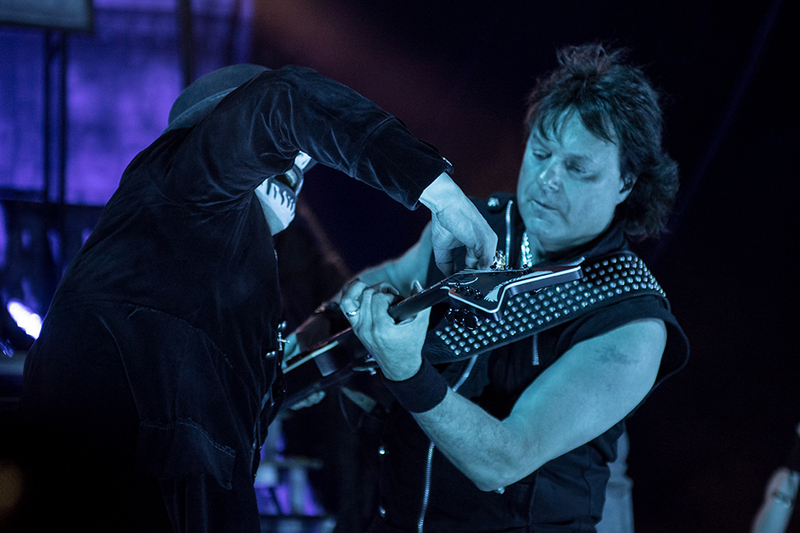 With a leg postured up on a riser, frontman Phil Bozeman’s arrival was greeted by a collection of screams from the audience. 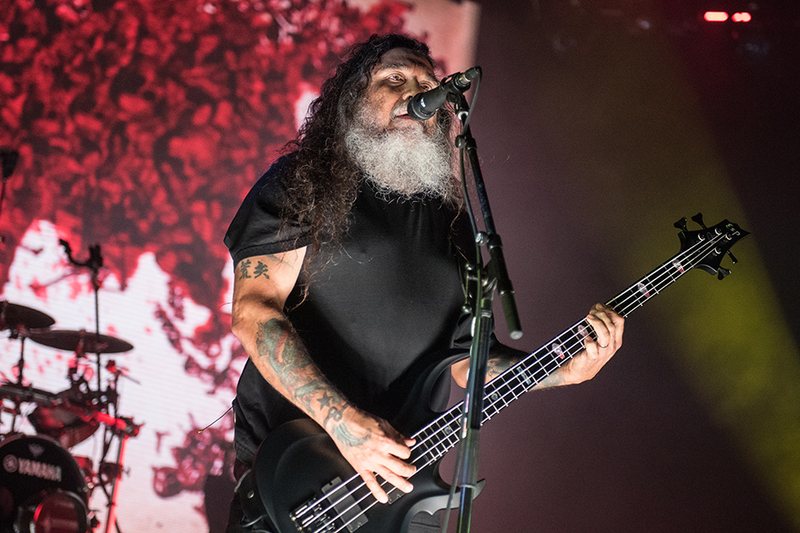 Opening with “The Saw is the Law,” the singer’s deep voice was particularly unique, like he’s holding nothing back each time his growled lyrics are spit into his microphone. 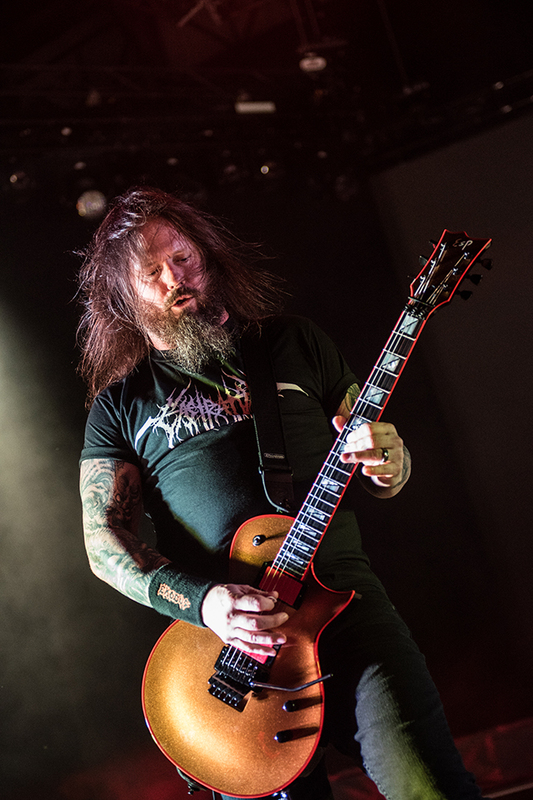 With a fiery intensity, the band pummeled their way through tracks like “Let Me Burn” and “Our Endless Way,” led by Bozeman’s emotional and defiant body language. 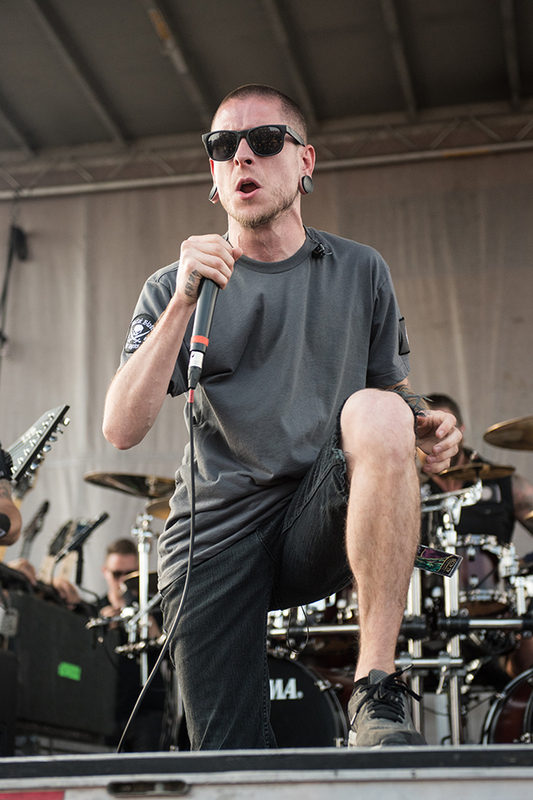 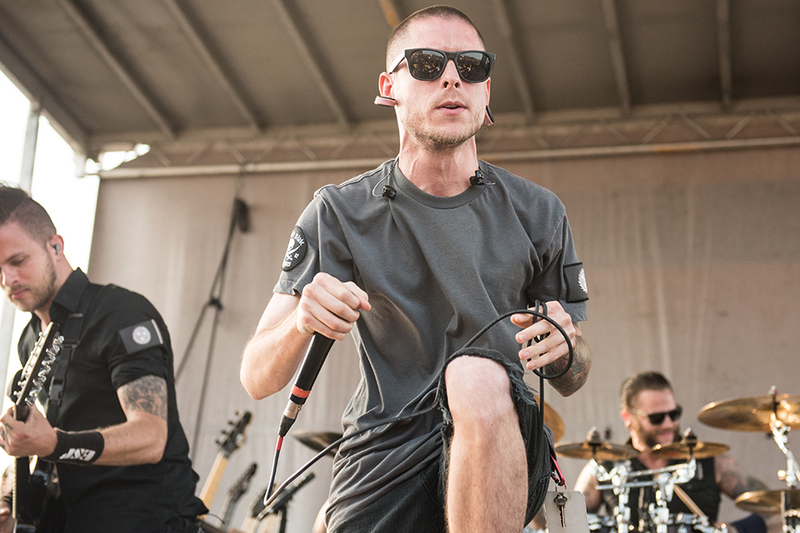 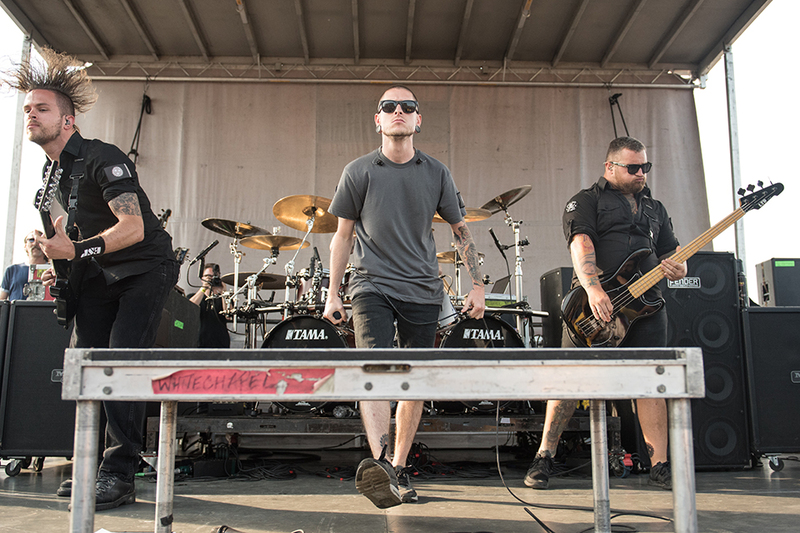 With Whitechapel, the moshing was essentially nonstop as crowd surfers aplenty made their way over the heads and hands of others as tracks like “I, Dementia” and “Prostatic Fluid Asphyxiation” brought the term death metal to a whole other level during the band’s abbreviated set. 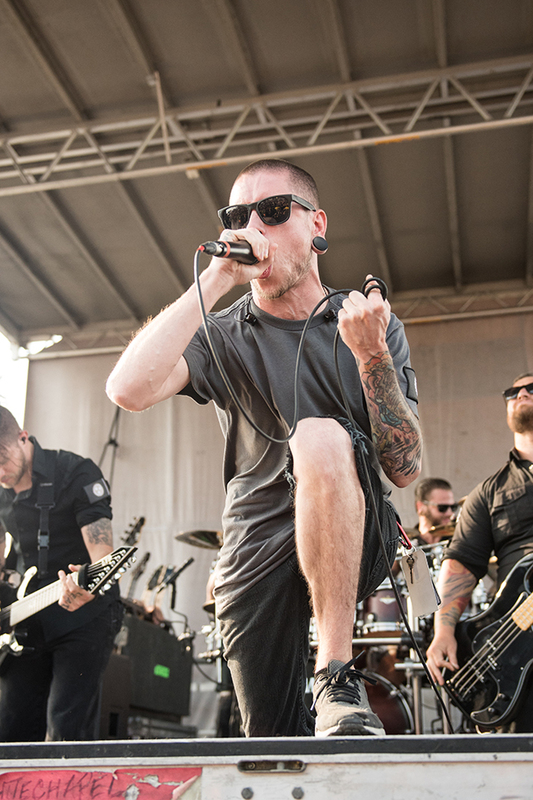 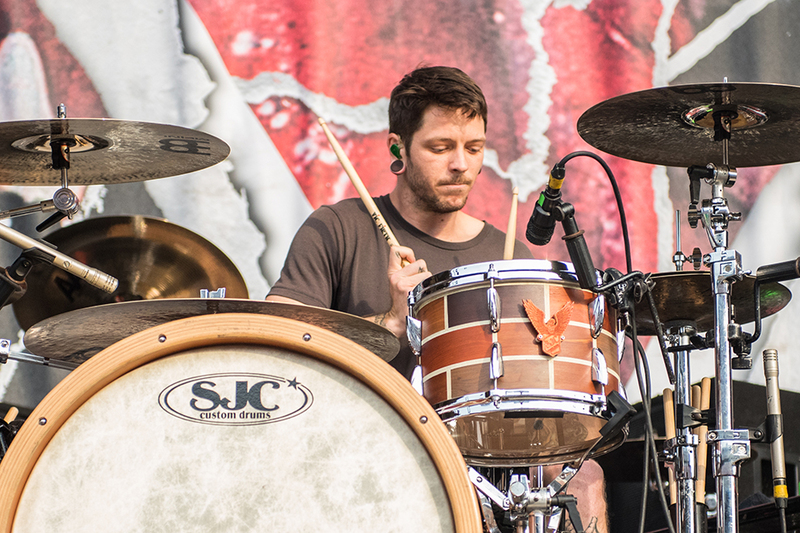 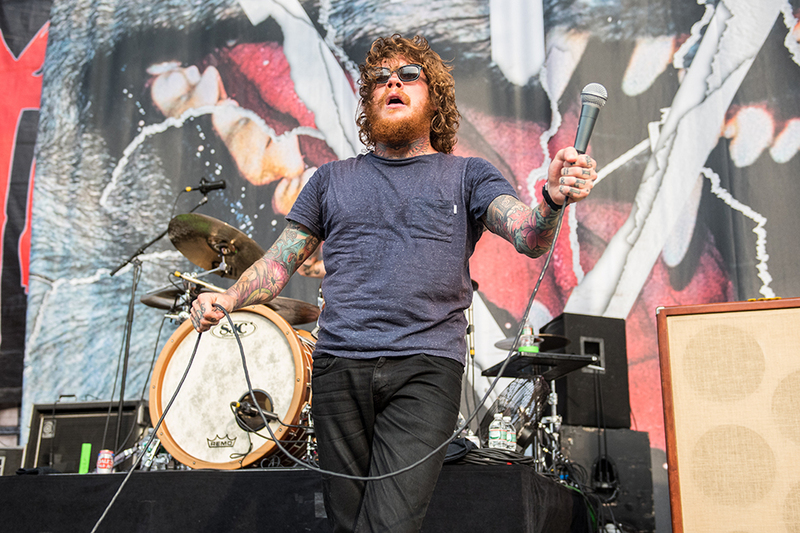 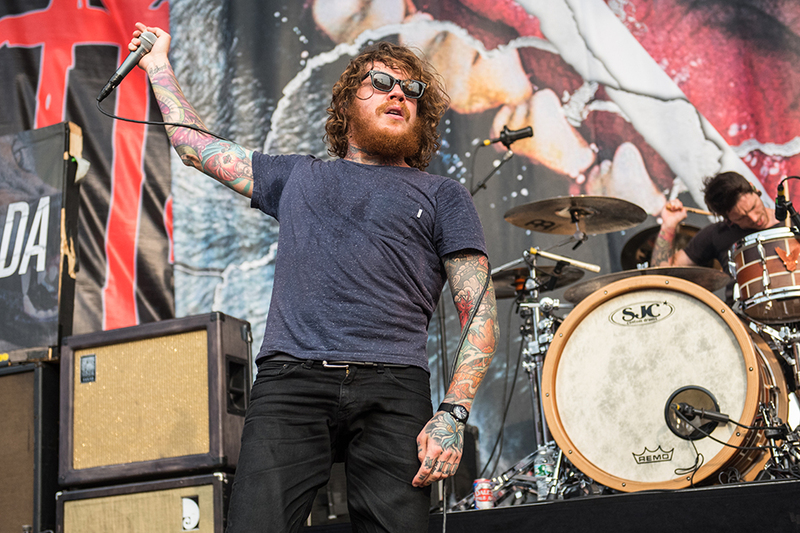 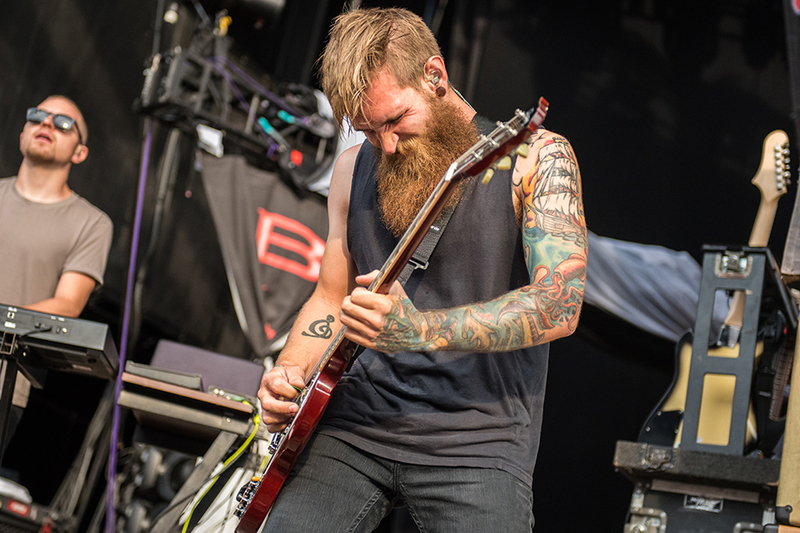 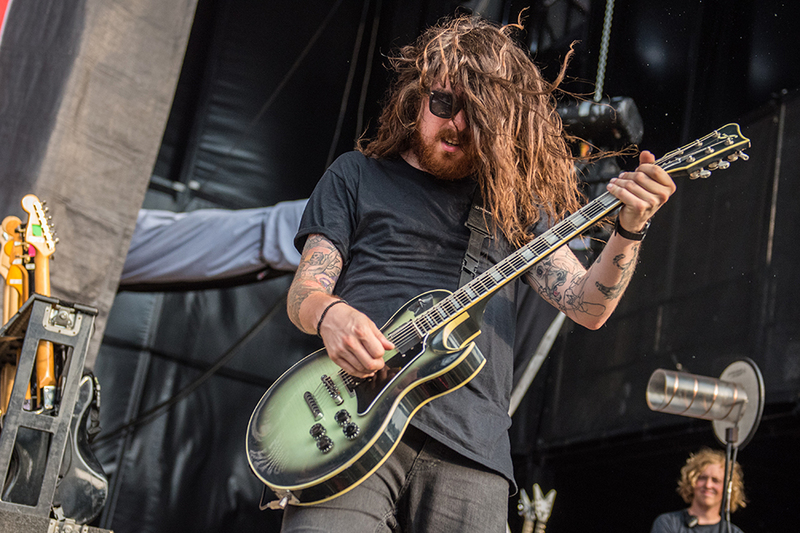 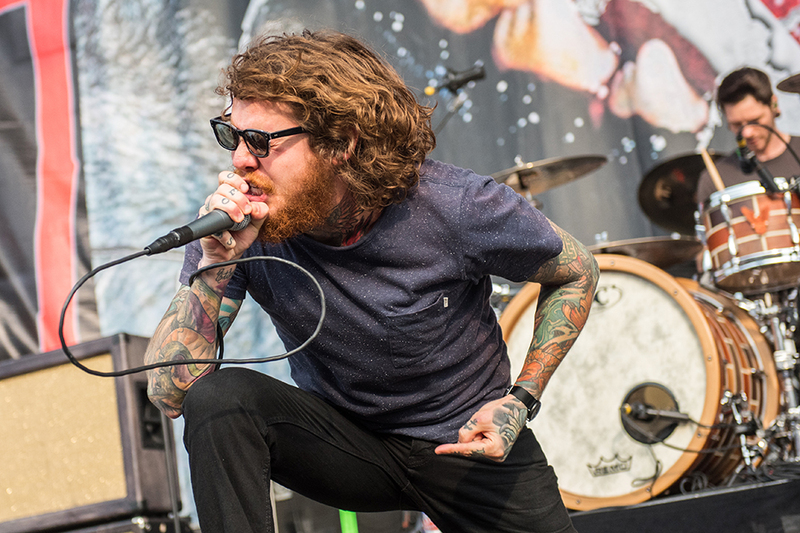 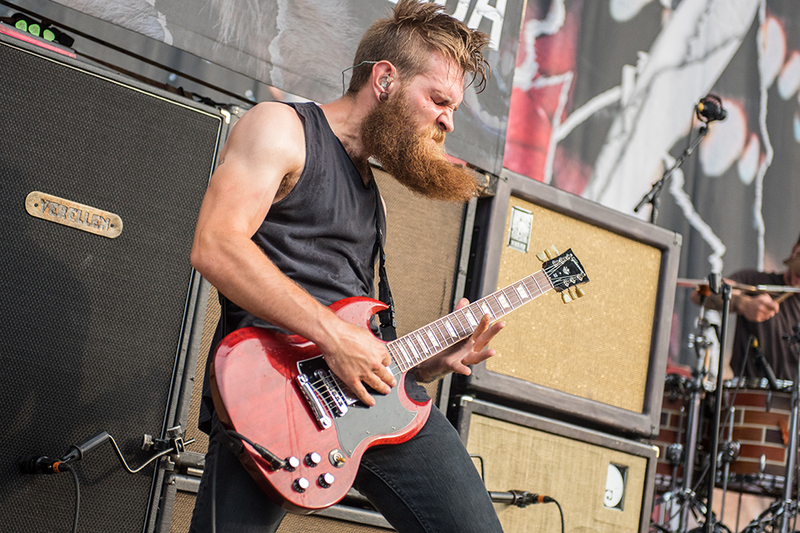 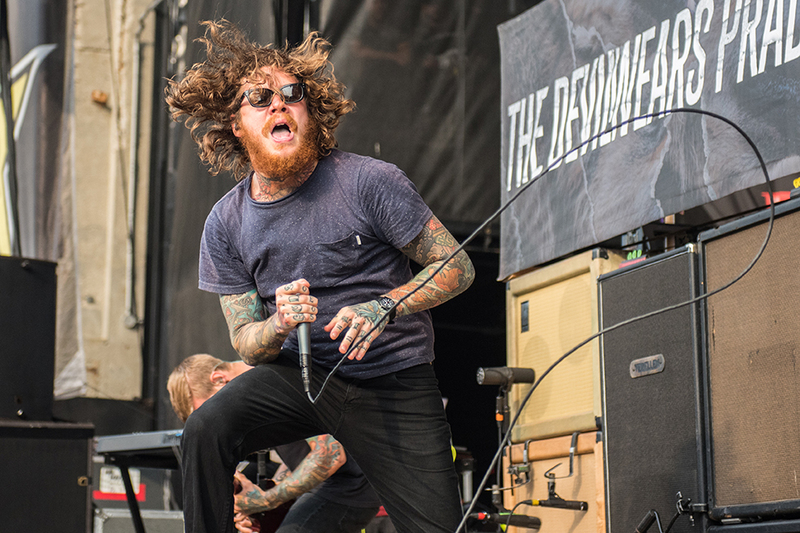 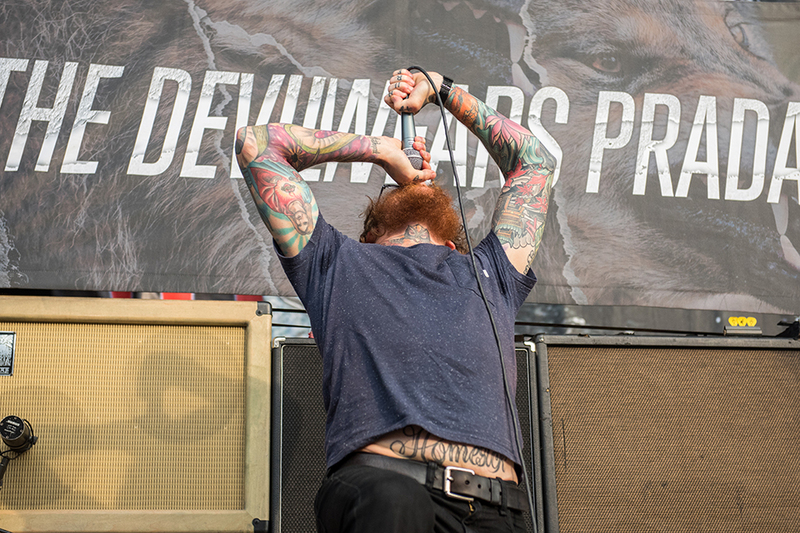 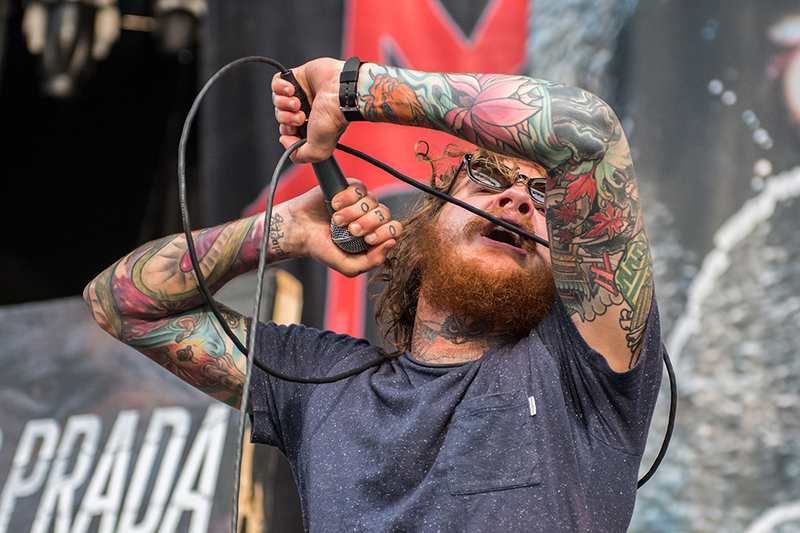 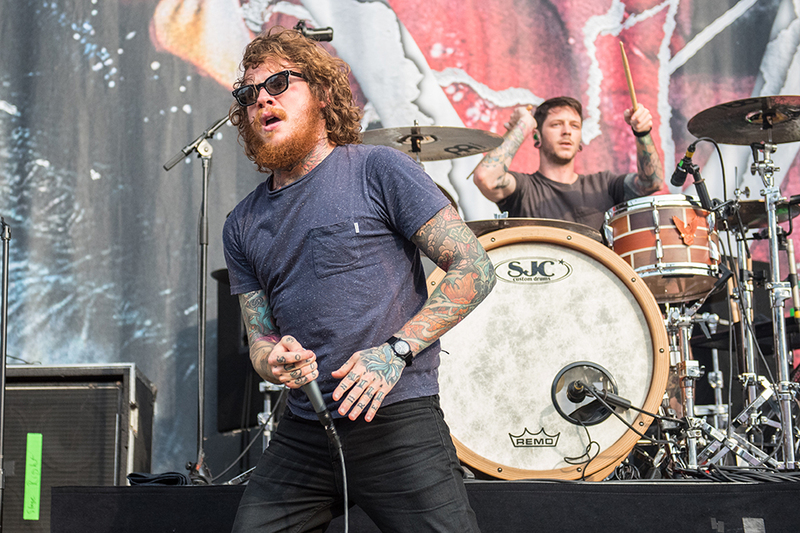 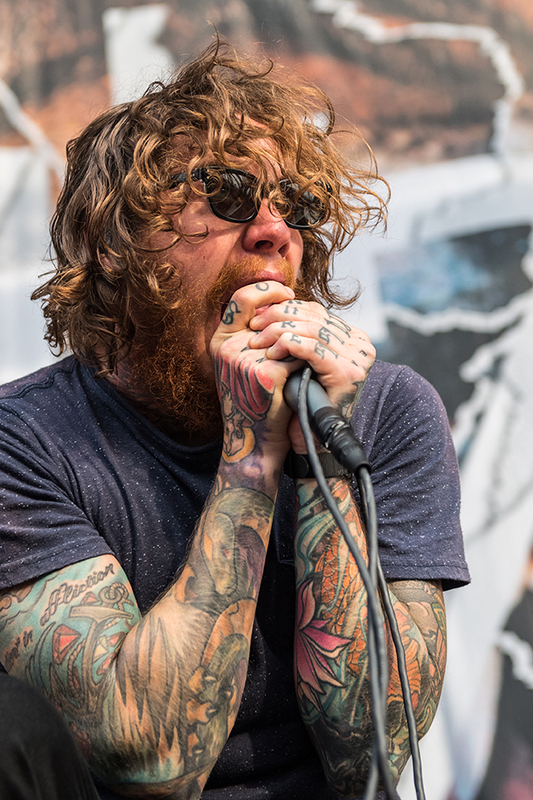 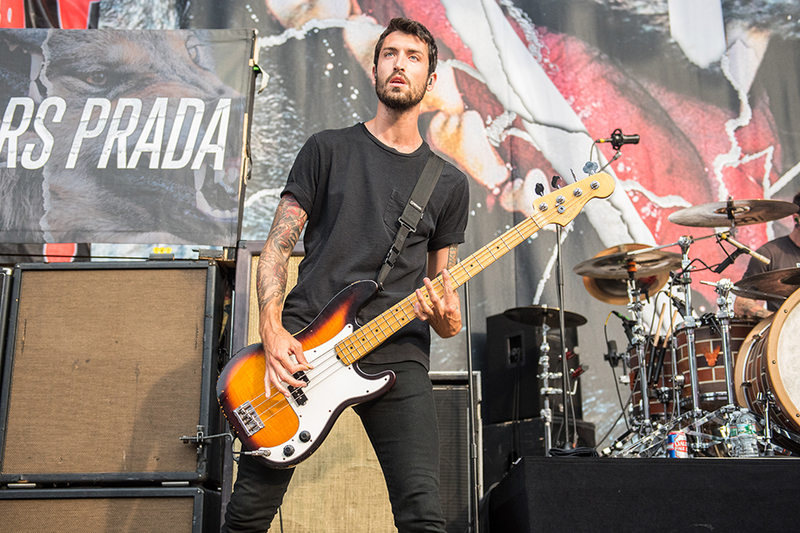 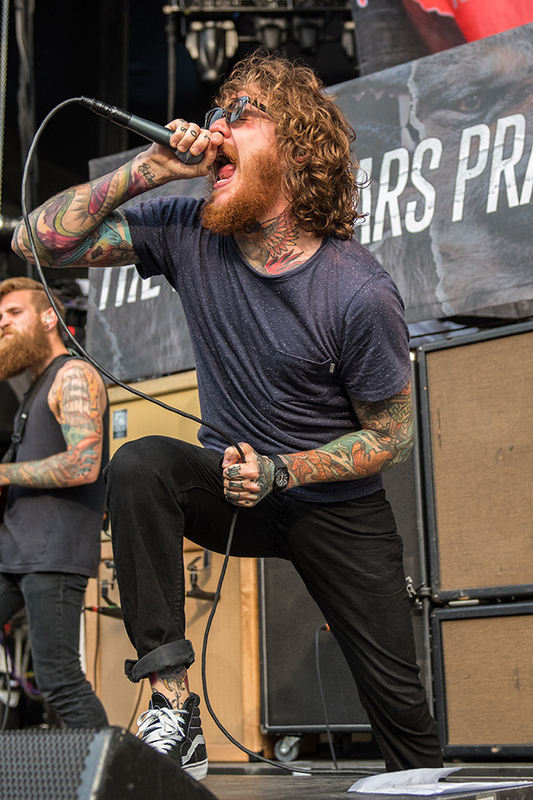 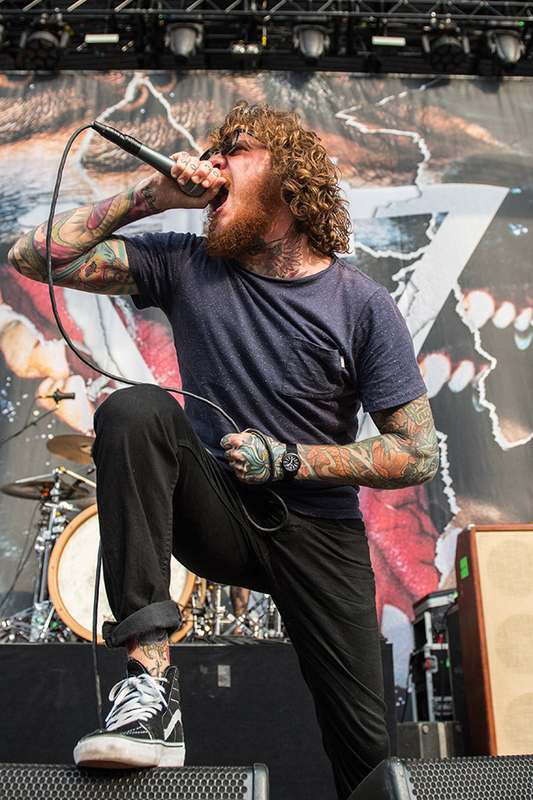 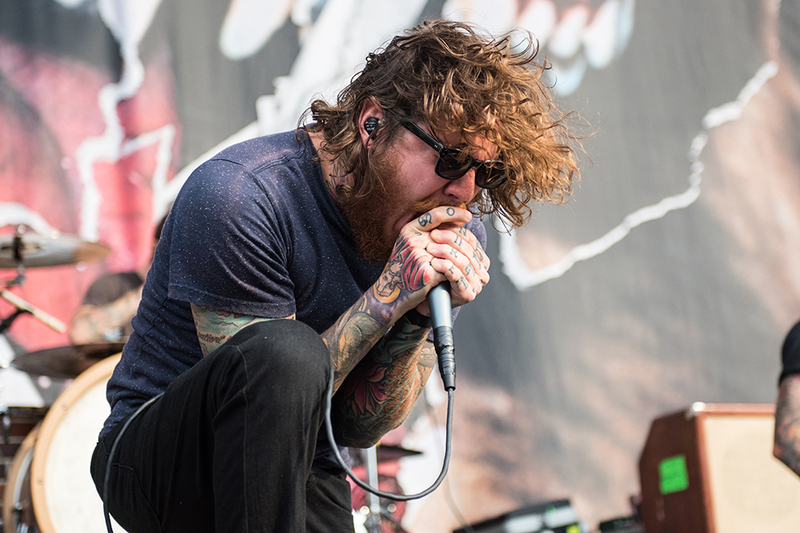 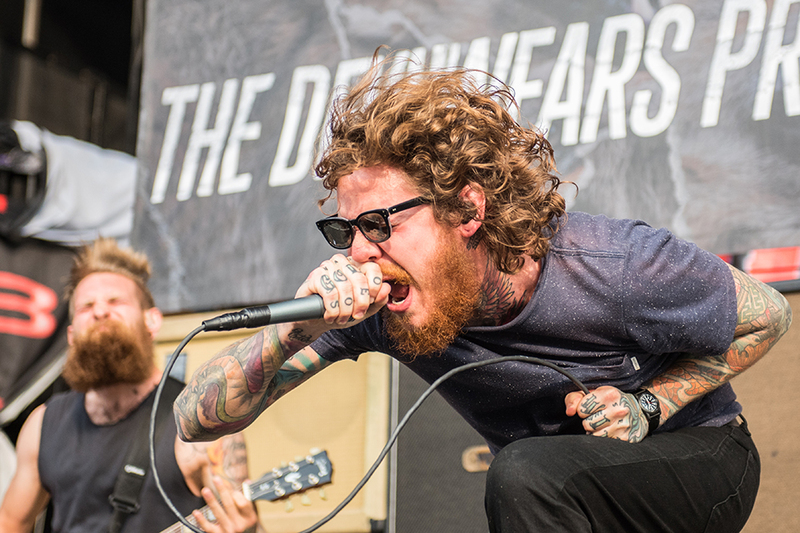 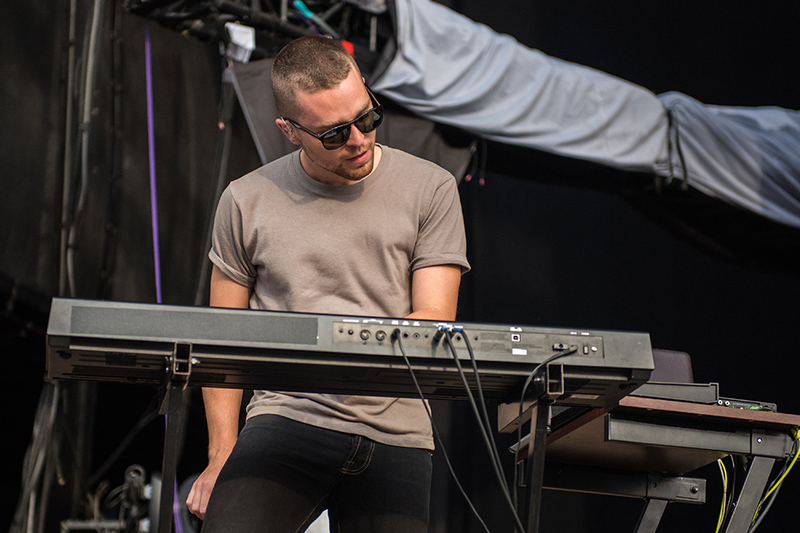 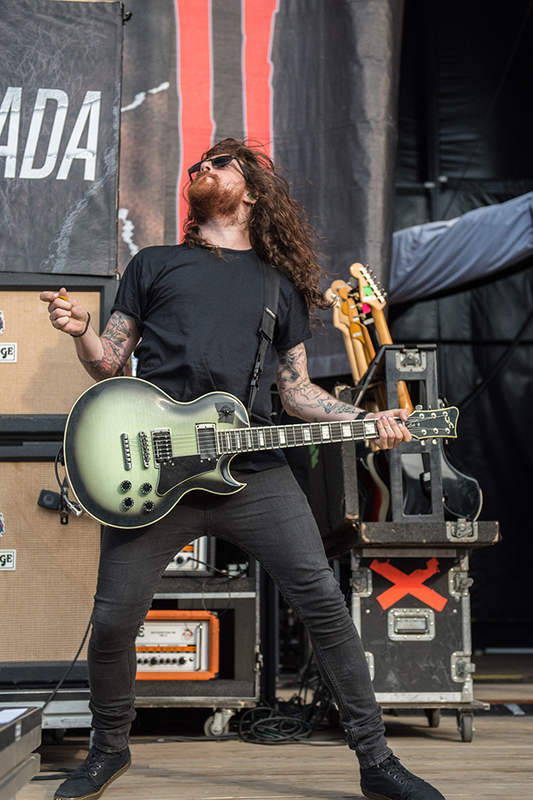 As early evening struck, fans began filing toward the main stage where vocalist Mike Hranica would lead The Devil Wears Prada out to center stage. 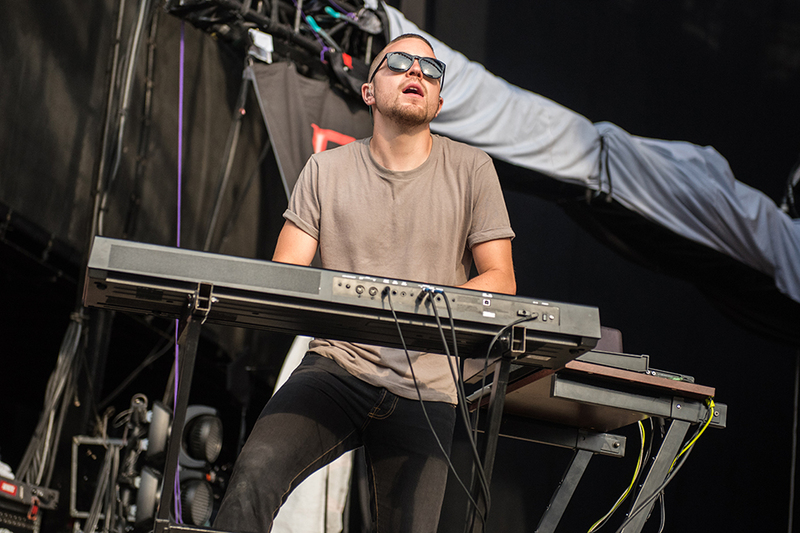 Donning sunglasses, the frontman gave a single wave to the crowd before being met by the immense applause of crowd excitement as the list headliners would soon perform. 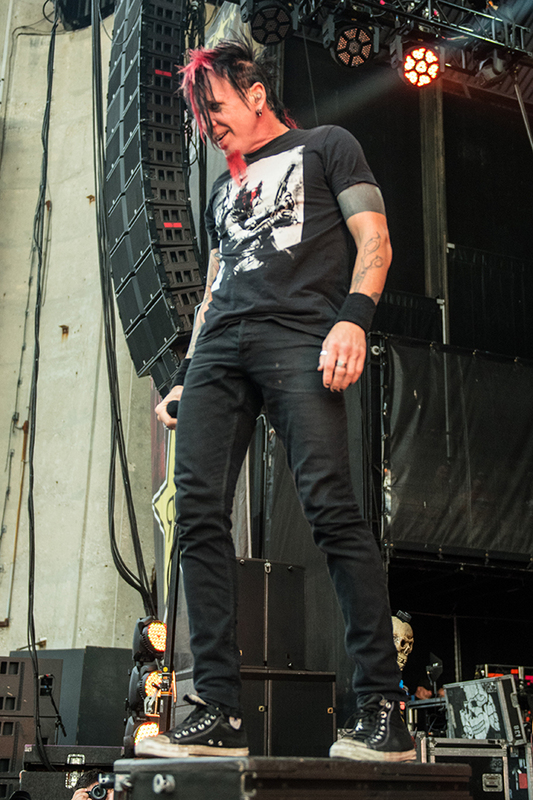 Revving himself up by tossing the microphone in his hand, Hranica was nothing if not frenzied during this performance- pacing from one end of the stage to the other like an uncaged animal, opening with “Escape.” Joining his intensity, the band stood similarly in a low to the ground crouch, throwing their guitars about with abandon during songs like “Sailors Prayer,” “Outnumbered” and “Assistant to the Regional Manager” to keep the set energy high throughout. 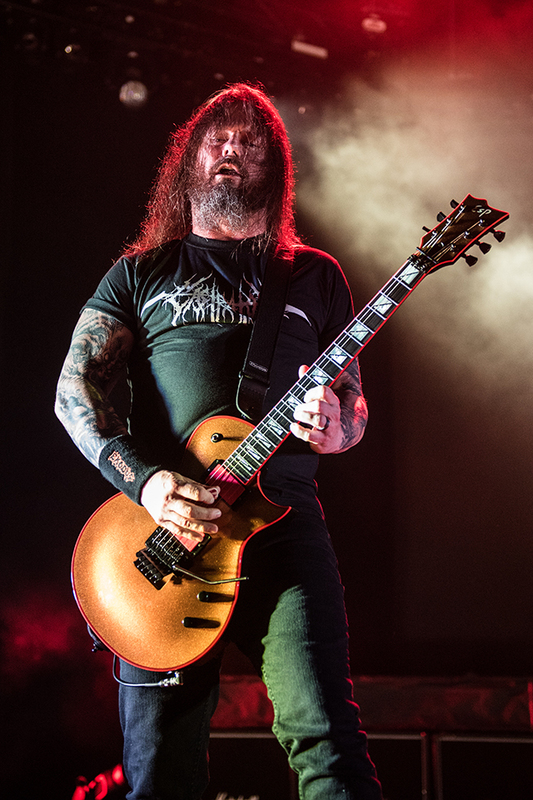 As Hranica revved himself up, he’d often throw his microphone toward the crowd, missing an excited fan by minimal distance as he belted out lyrics to “Reptar” and “Supernova,” before capping off their head-pounding set with fan favorite “Mammoth,” met by a raucous post-performance ovation. 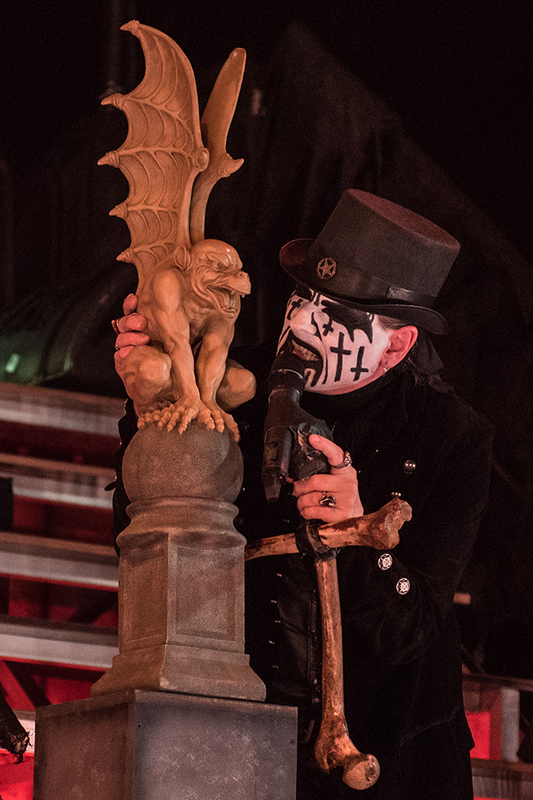 The arrival of King Diamond saw the seating area continue to fill up. 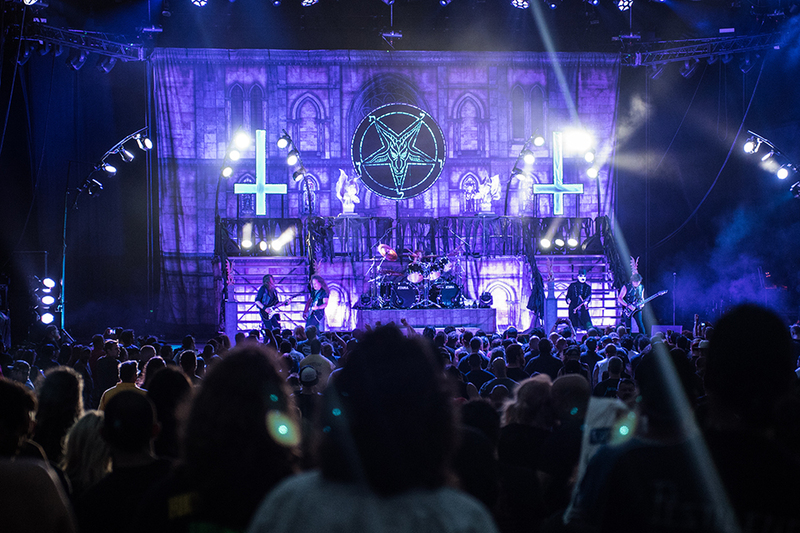 With an impressive Gothic church set with two long sets of stairs on either side, the stage was connected by a large platform right in the middle, illuminated by a sea of red light. 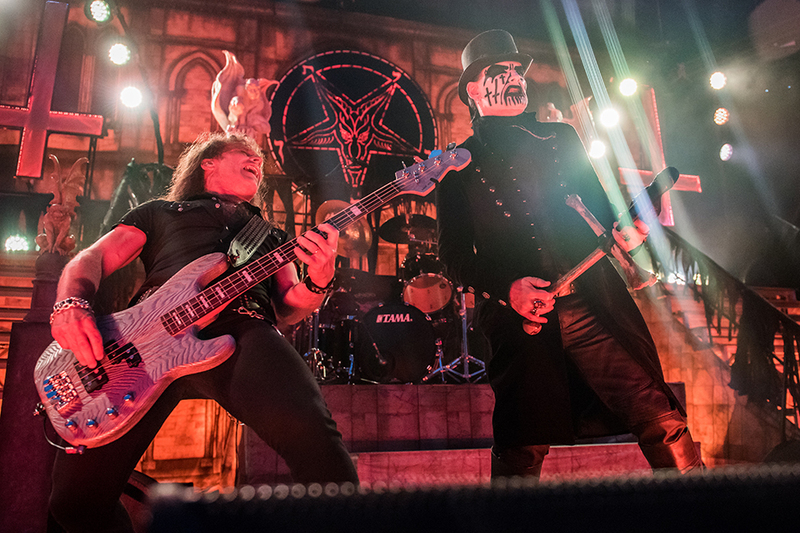 The opening chords of demonic choral music led to a crowd eruption as a demonic symbol began rising up with King Diamond stationed front and center. 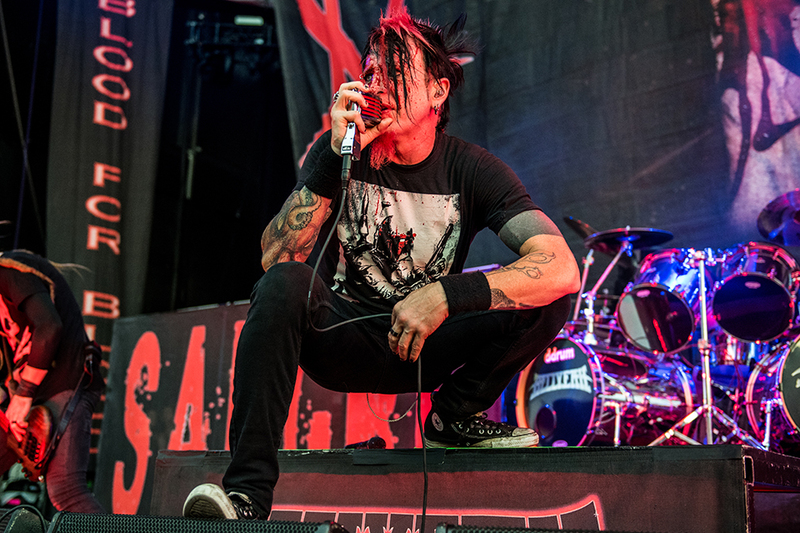 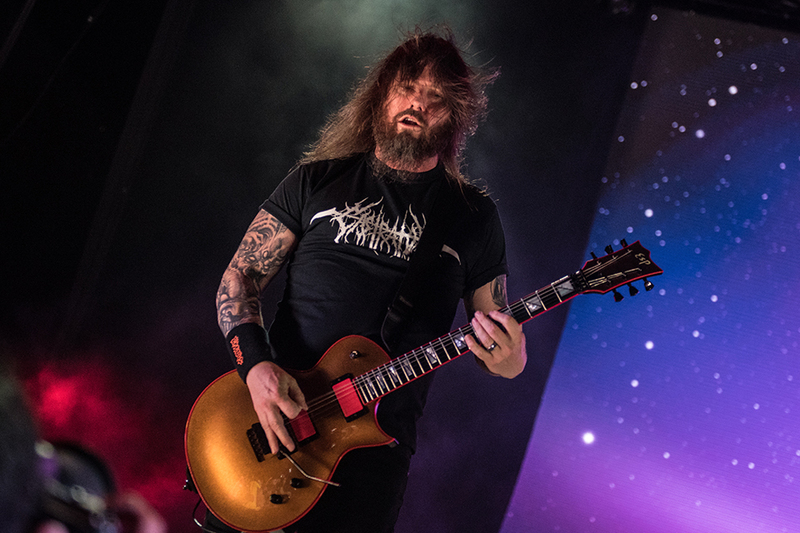 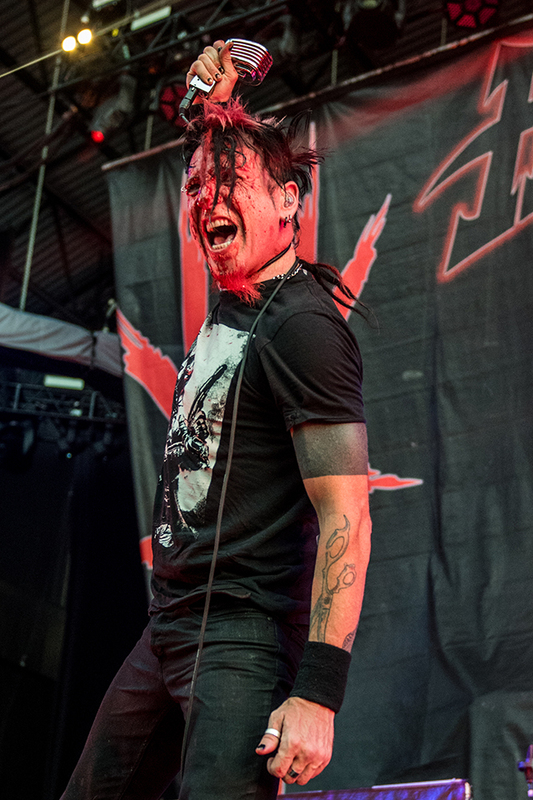 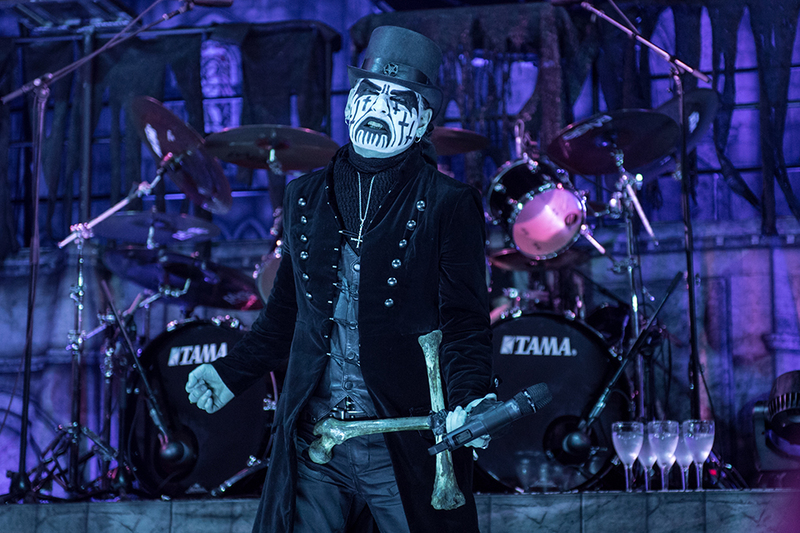 His high pitched vocal range is what allows the Danish singer to stand out from most metal singers and tracks like “The Candle” and “Eye of the Witch” allowed the entire audience to sing along during the set’s opening moments. 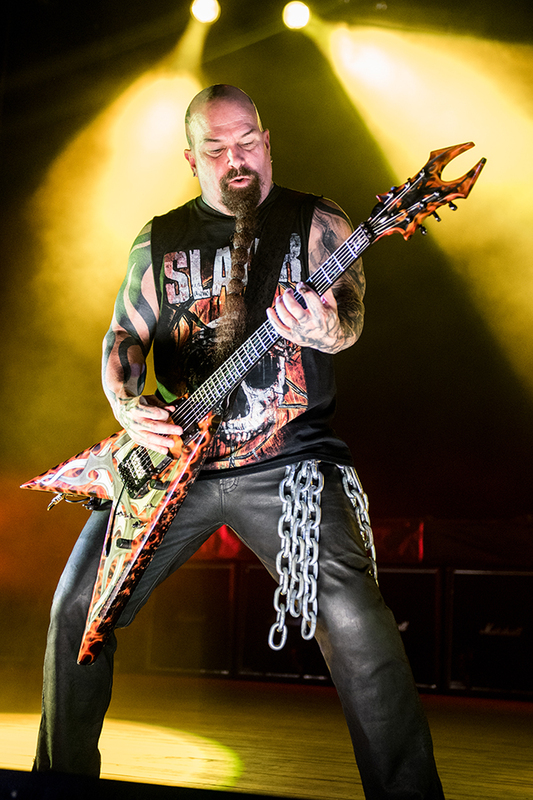 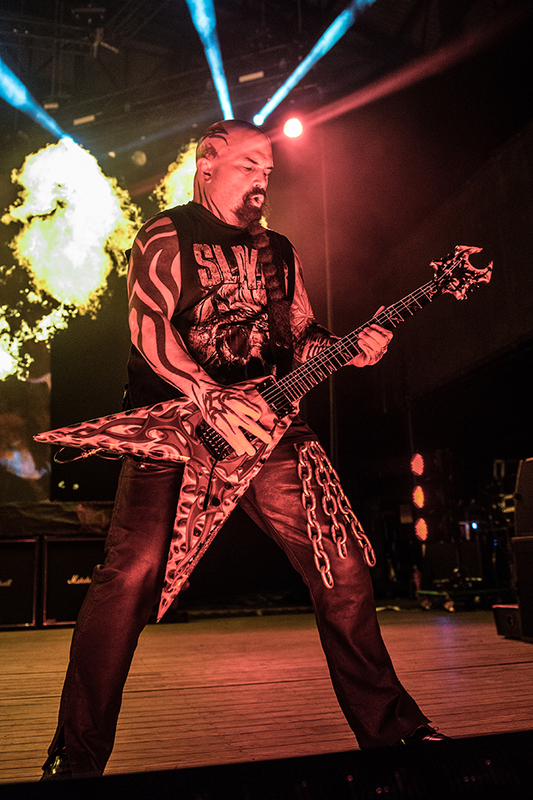 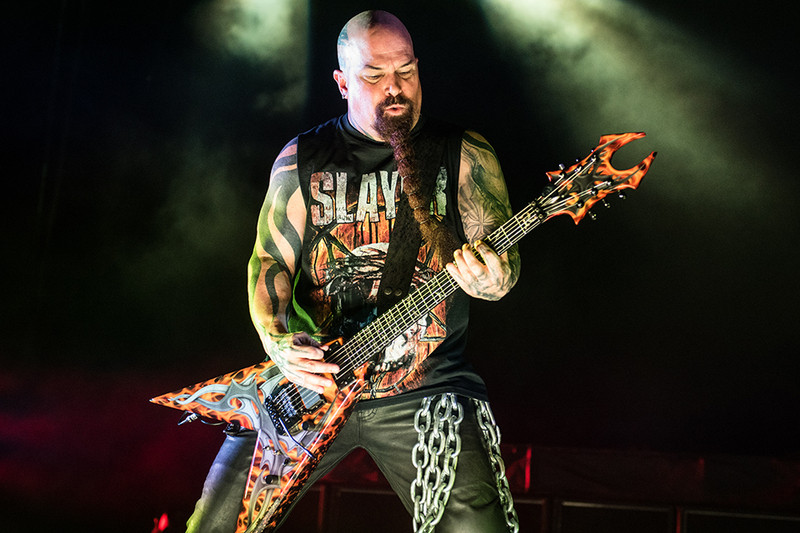 Following a particularly rousing version of “Welcome Home,” Diamond would welcome Slayer guitarist Kerry King to the stage for a cover of Mercyful Fate songs “Tea,” “Digging Graves” and “A Visit from the Dead Evil,” which the live crowd absolutely ate up. 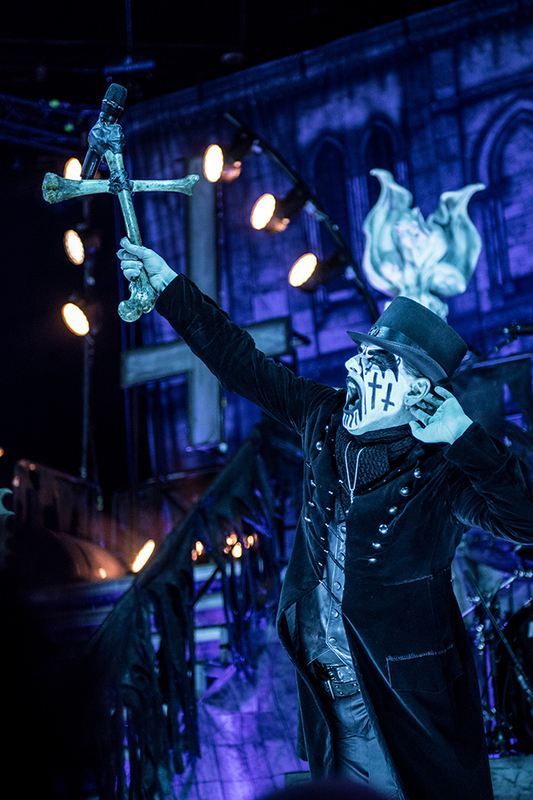 With horns in the air fans egged King Diamond on further with hit after hit from “The Family Ghost” and Mercyful Fate’s “Come to the Sabbath” to “Black Horsemen,” with theatrical set changes happening throughout. 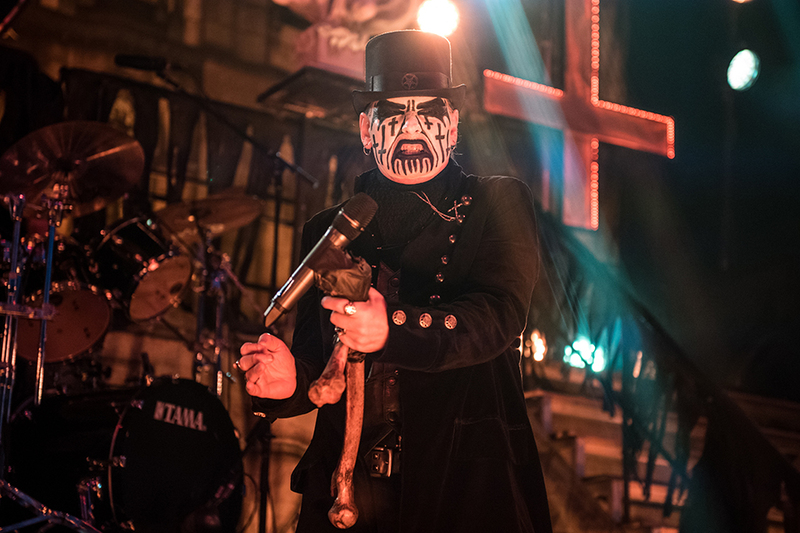 Never wavering in his exceptional high vocals, King Diamond’s ability to play to a live crowd is both distinctive and captivating, paired with a terror-inducing atmosphere on stage. 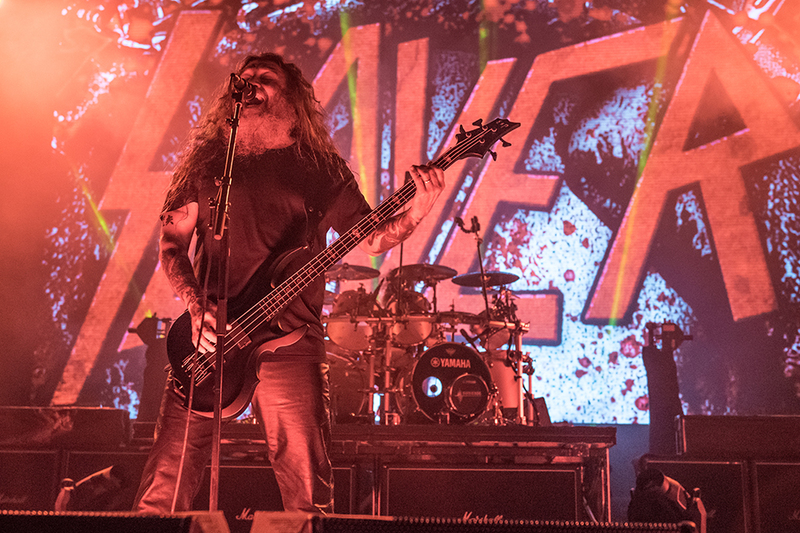 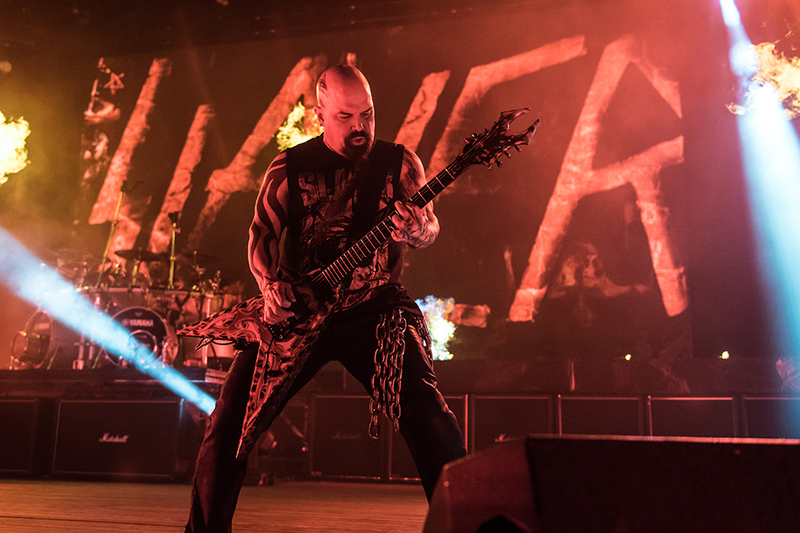 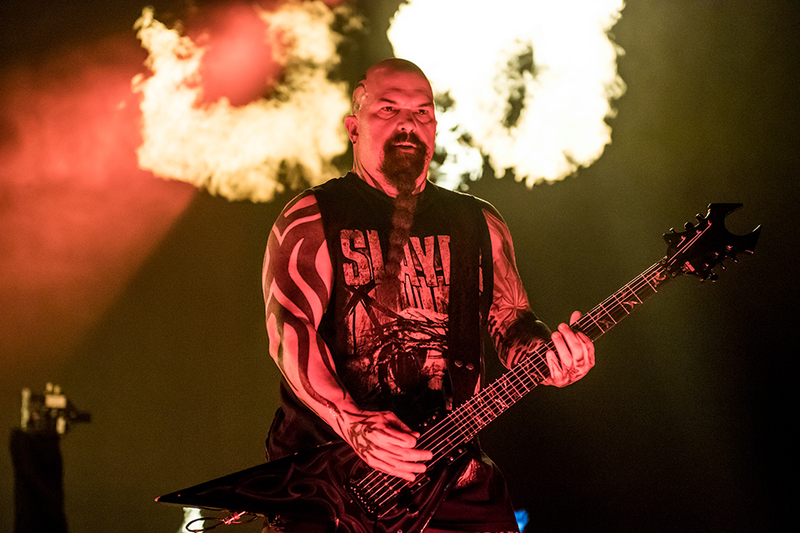 Hours of metal were set to culminate as iconic metal band Slayer was set to close out New York’s 2015 Mayhem Fest. 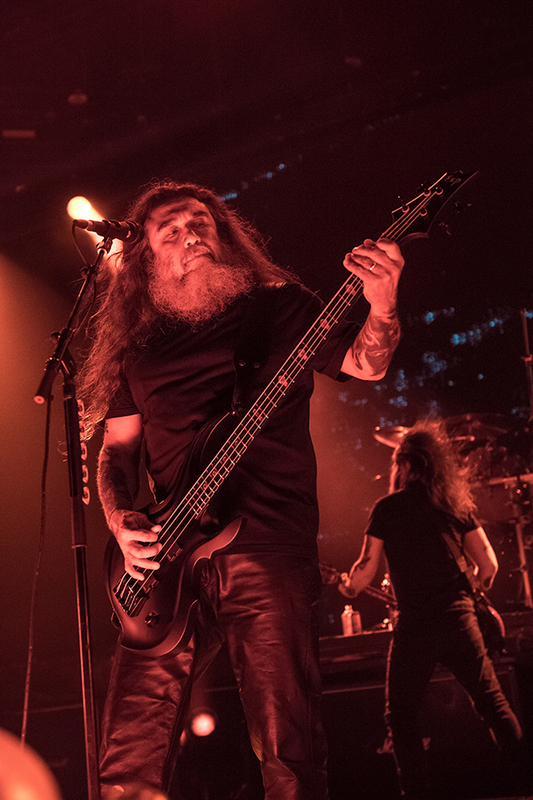 As soon as the lights slowly dimmed, the now full crowd screamed out collectively in anticipation of the deified foursome. 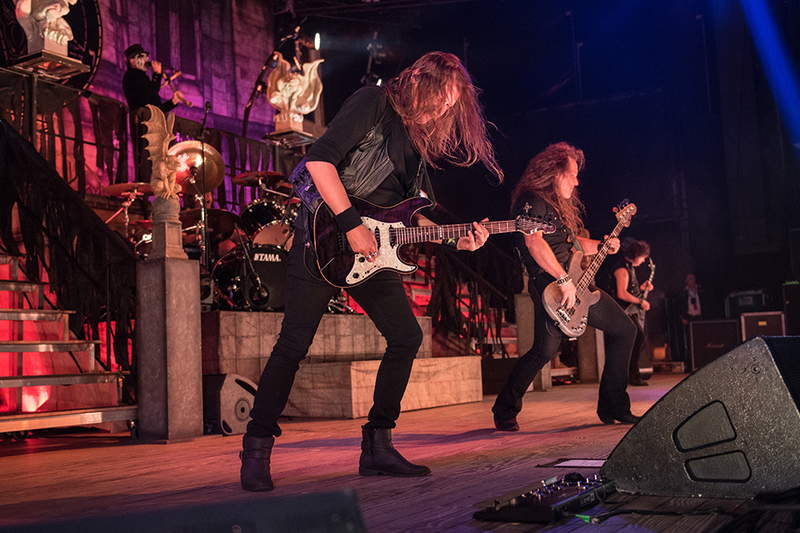 Backed by an orchestral version of “Delusions of Saviour,” the band strode out to center stage- just as they have thousands of times over the past three decades to black shirt wearing fans. 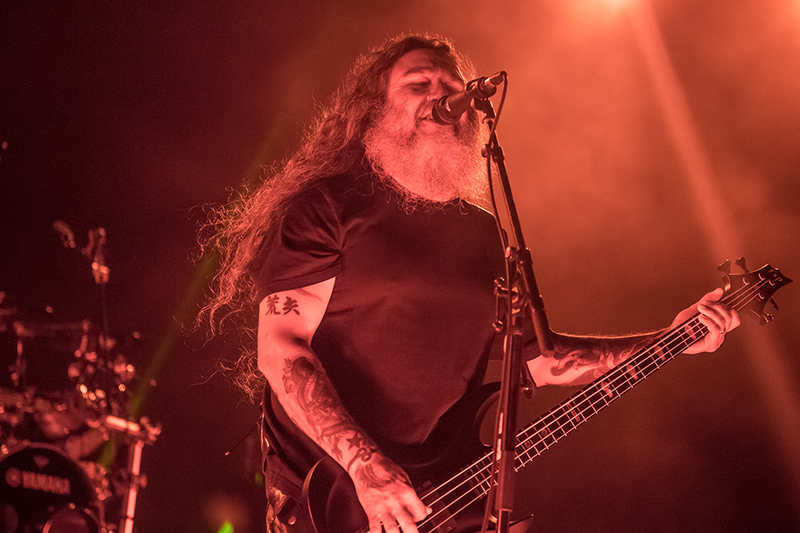 Slayer kicked things off with a lightning fast version of “Repentless,” earmarked by pulverizing riffs and speedy guitar solos. 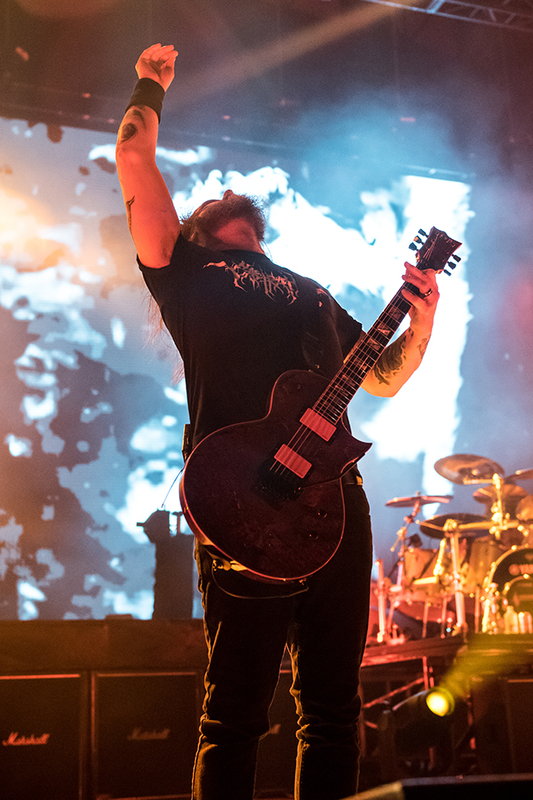 Each chorus would signal a sea of flames to rise up behind them, flashing the front rows of fans with a swarm of heat. 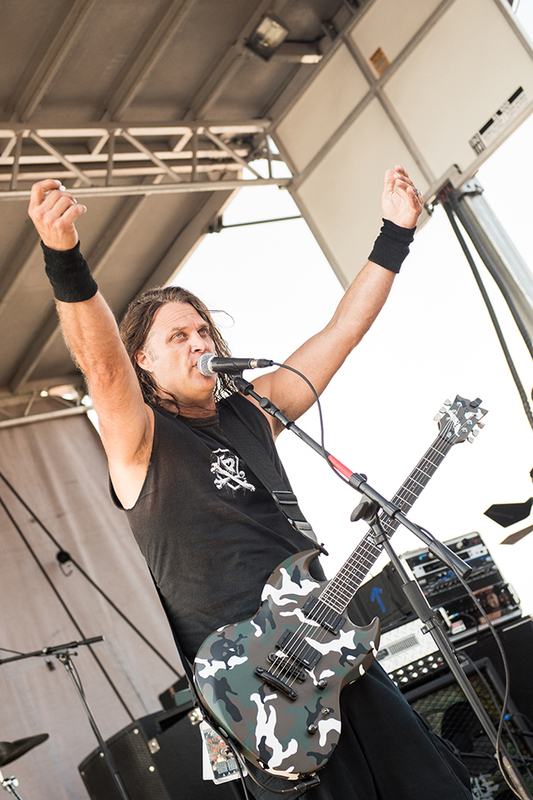 But in the moment, the crowd seemed to revel in the atmosphere where tracks like “War Ensemble,” “Implode” and “Chemical Warfare” were entirely well received. 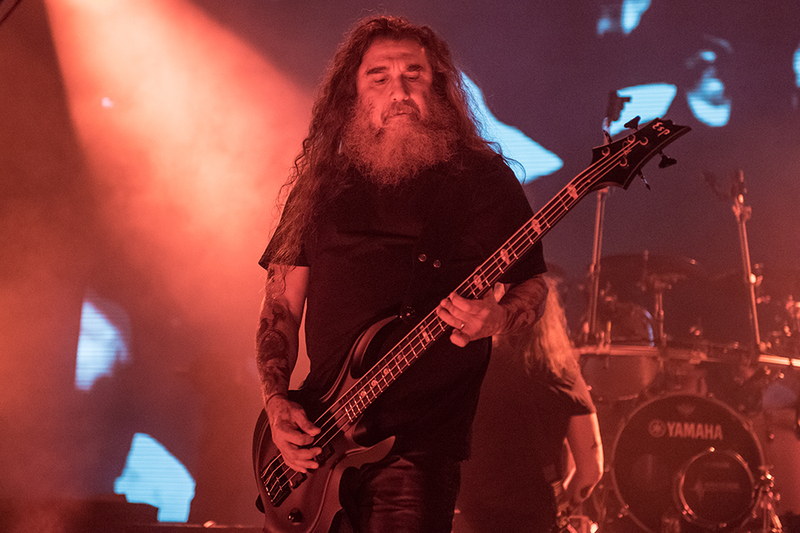 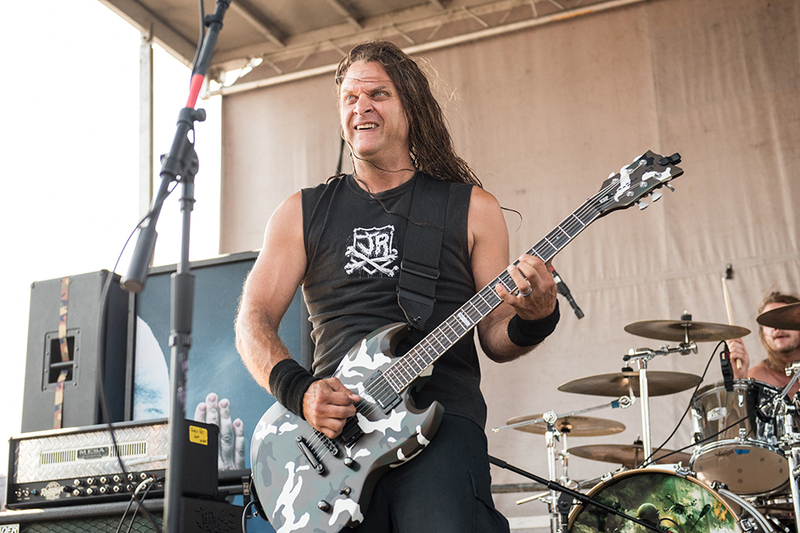 Though the large projection screen behind the stage momentarily failed during “Hate Worldwide,” frontman Tom Araya missed nary a beat as the aforementioned King continued to pound his guitar in unison. 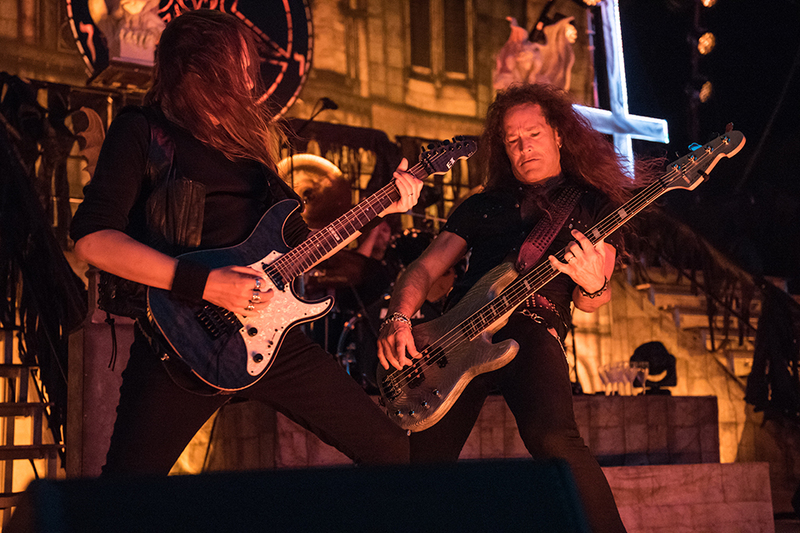 The band’s set unveiled hits from their nearly thirty year history and “Ghosts of War,” “Hell Awaits” and “Raining Blood” set the stage perfectly for show closer “Angel of Death,” concluding the legendary band’s entertaining showcase. 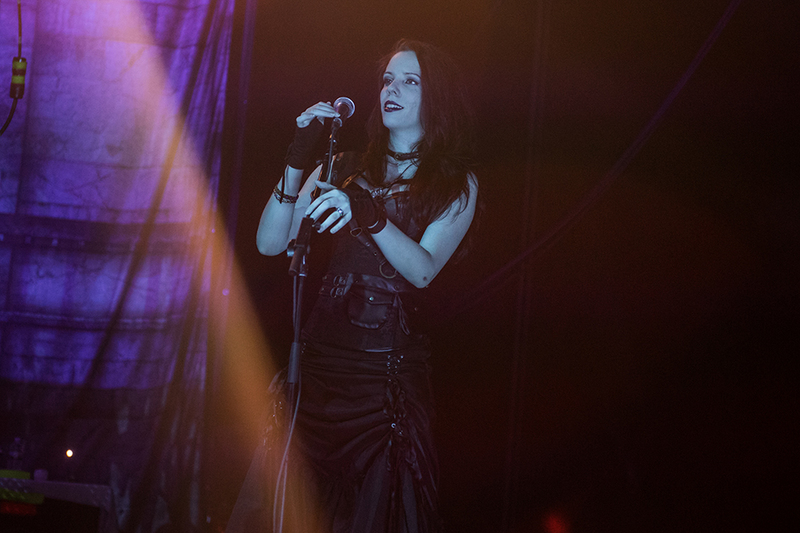 Collectively, the remaining fans- and there were many who stuck it out until the show’s final song- let out one final scream- that one last release of energy after one of July’s hottest days. 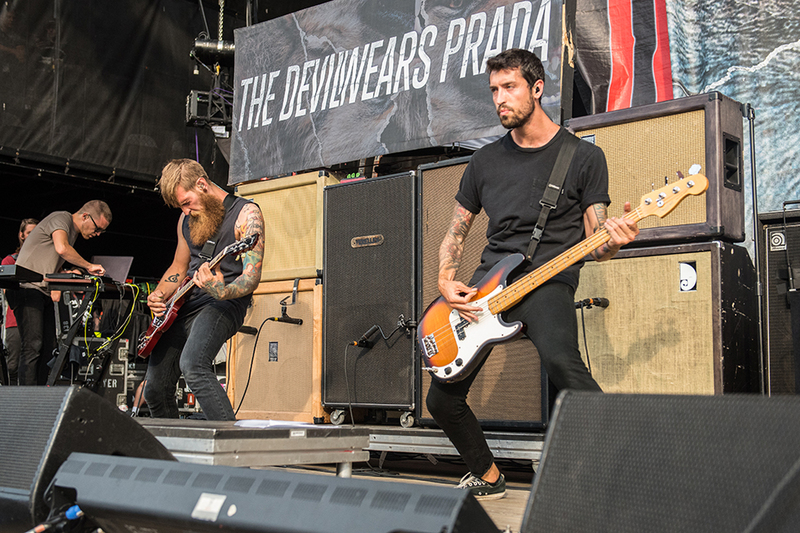 And to close out one of summer time’s hottest touring music festivals.